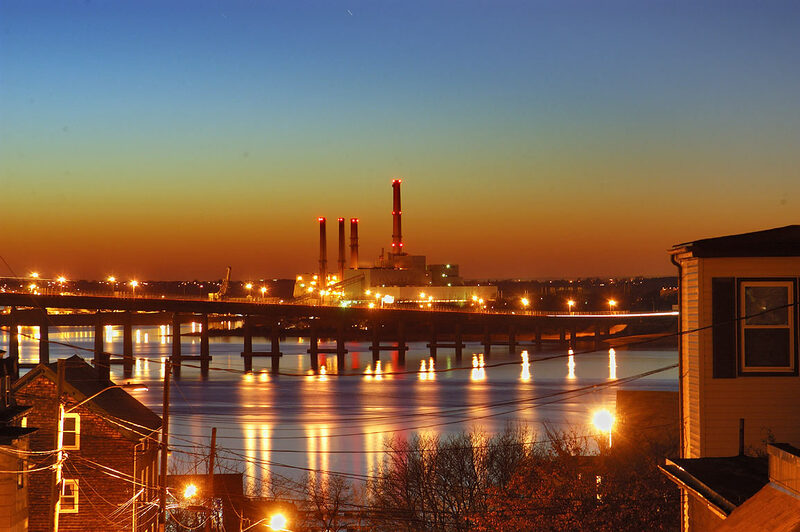 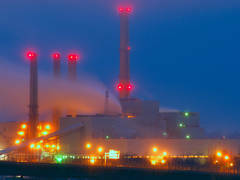 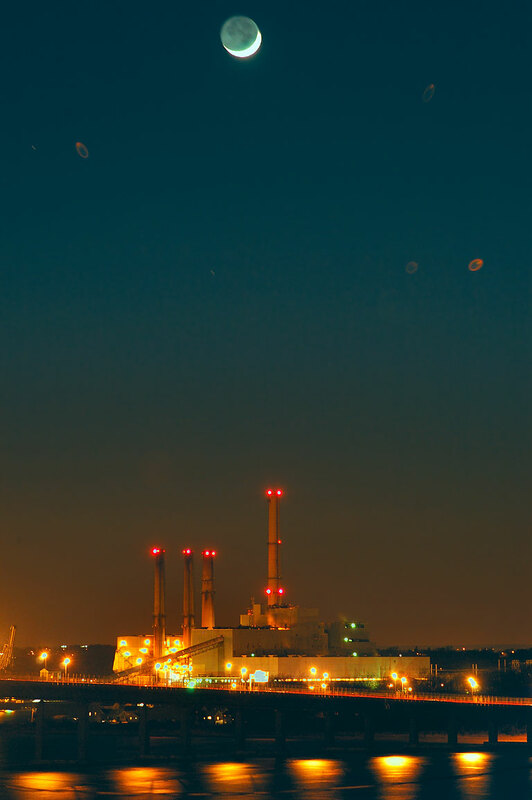 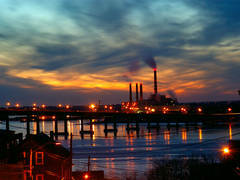 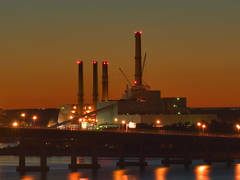 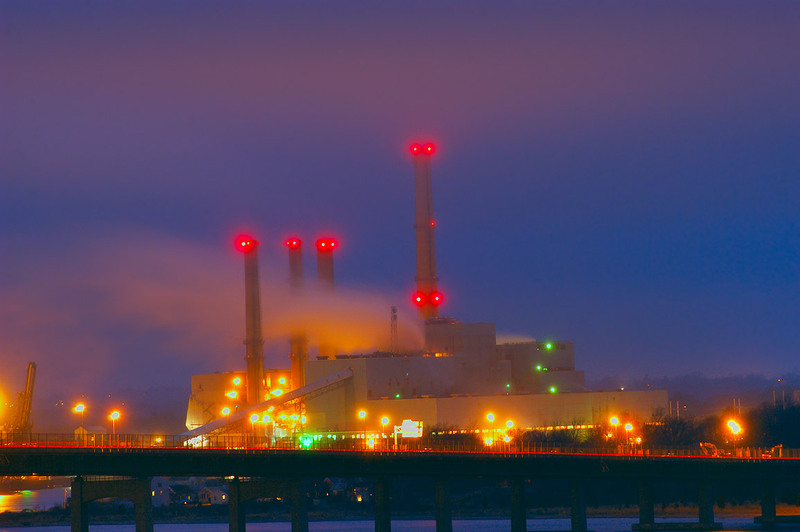 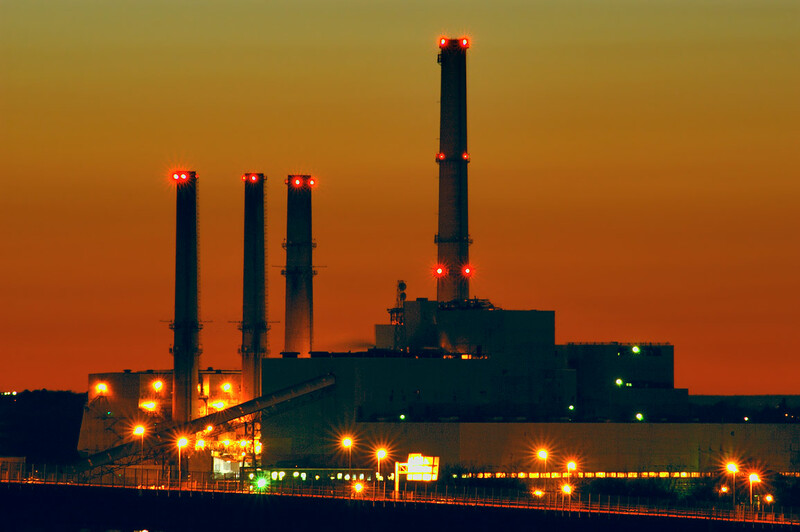 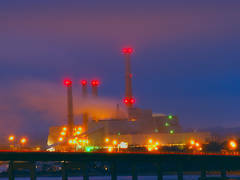 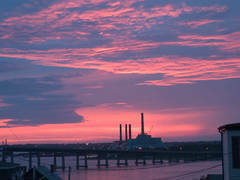 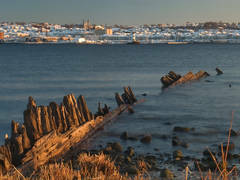 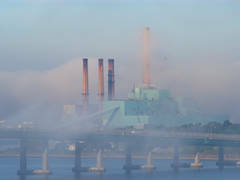 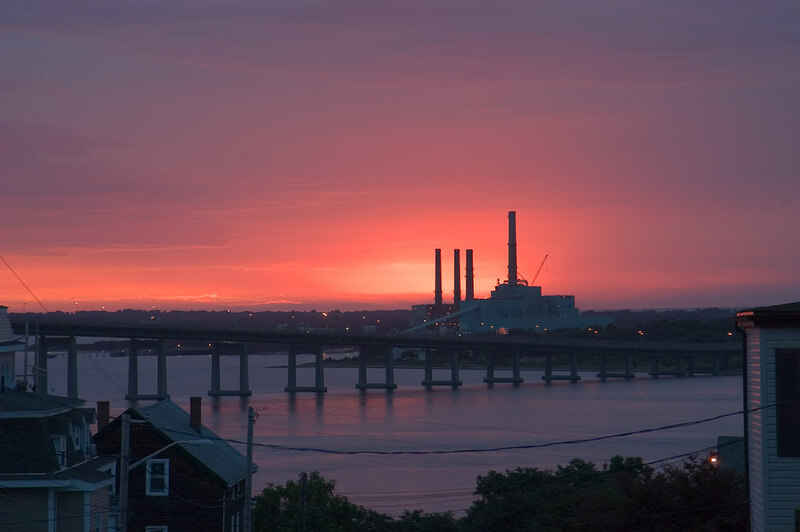 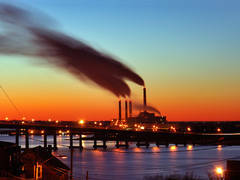 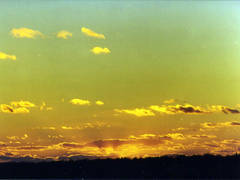 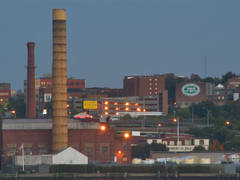 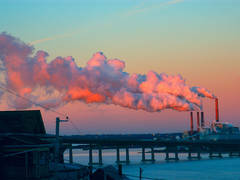 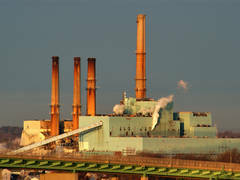 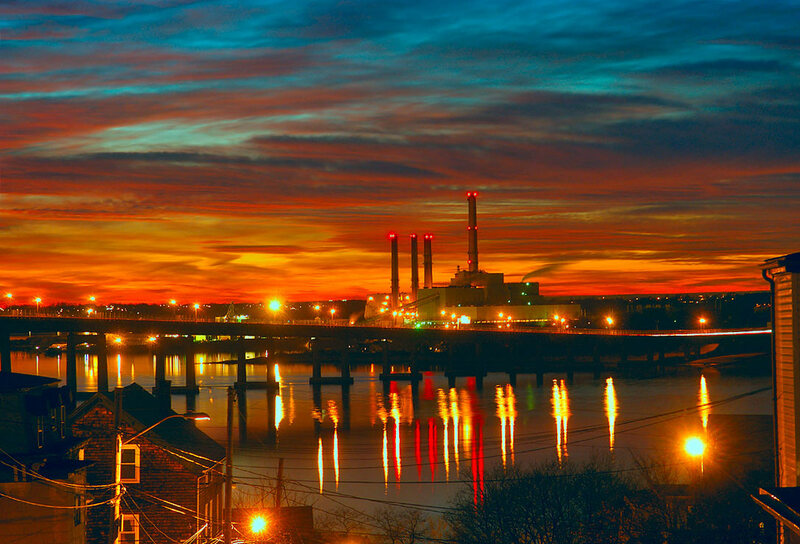 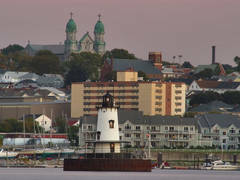 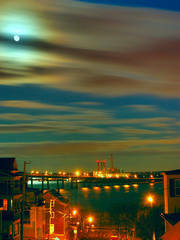 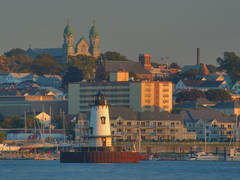 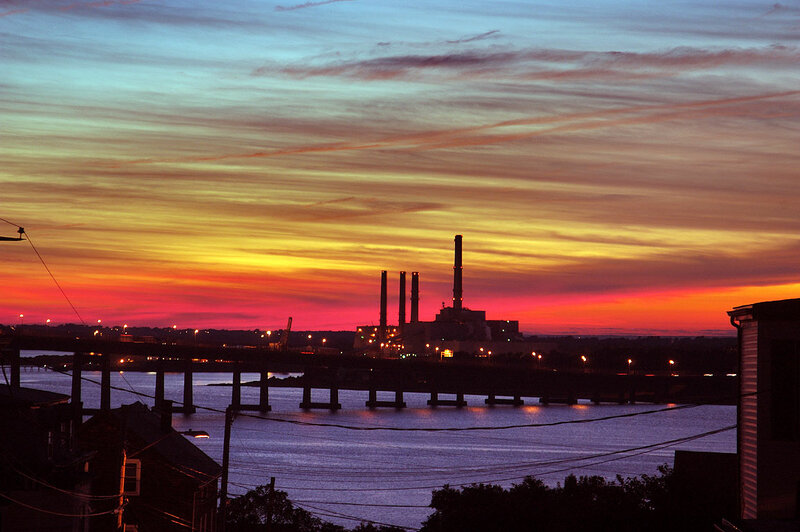 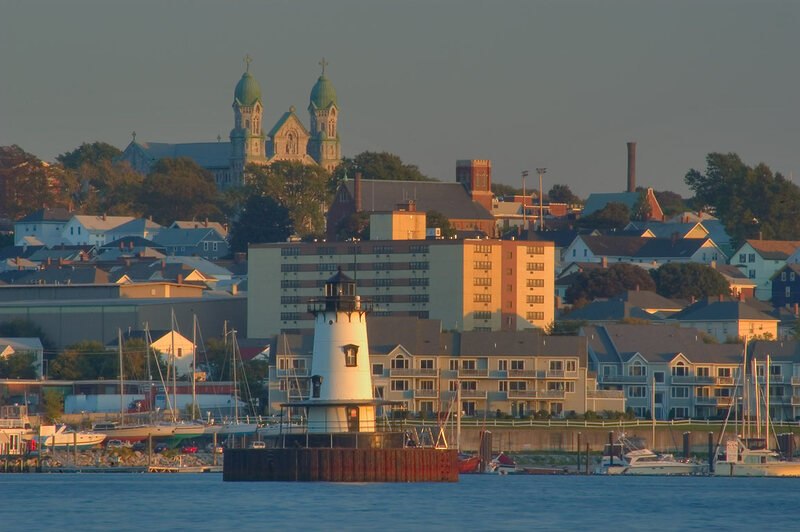 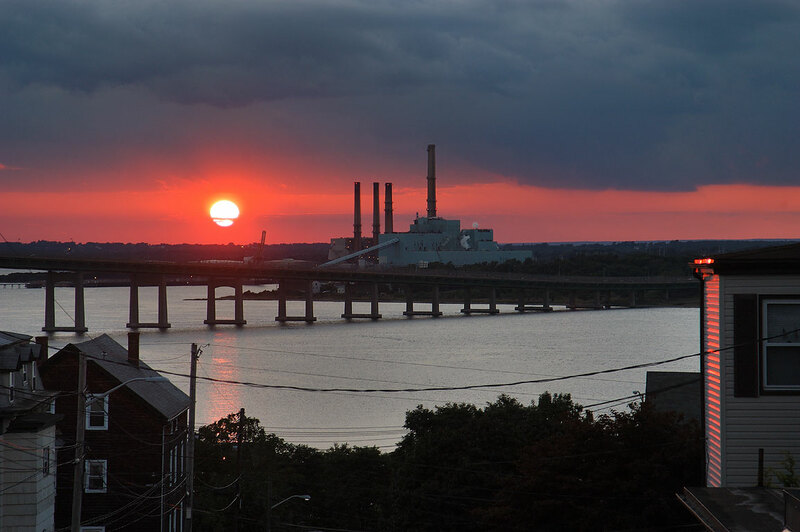 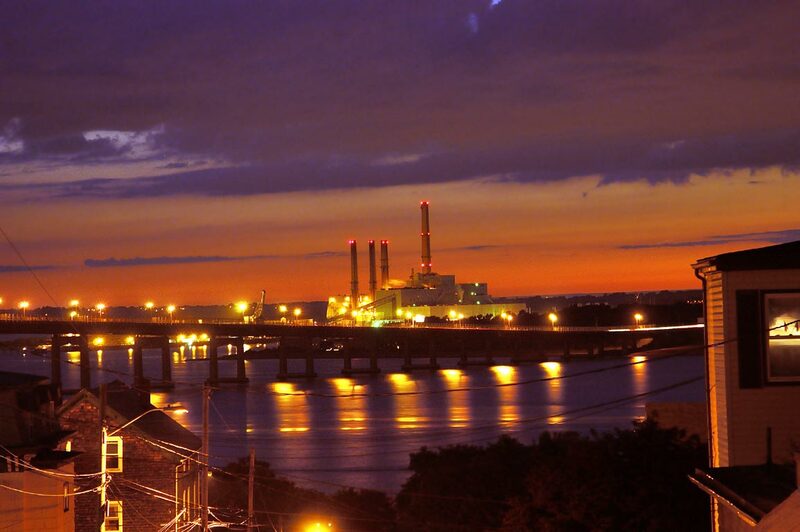 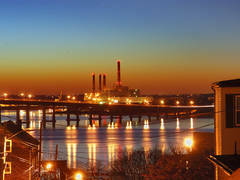 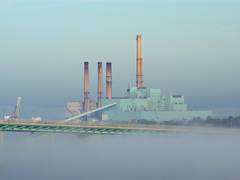 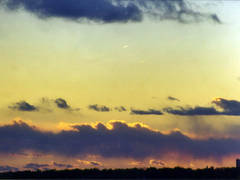 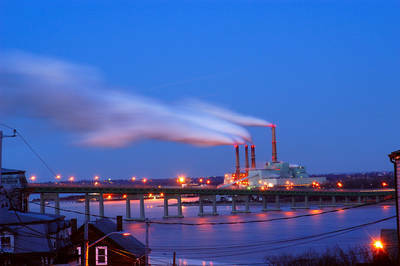 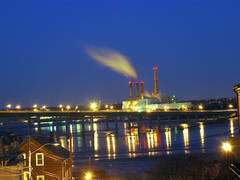 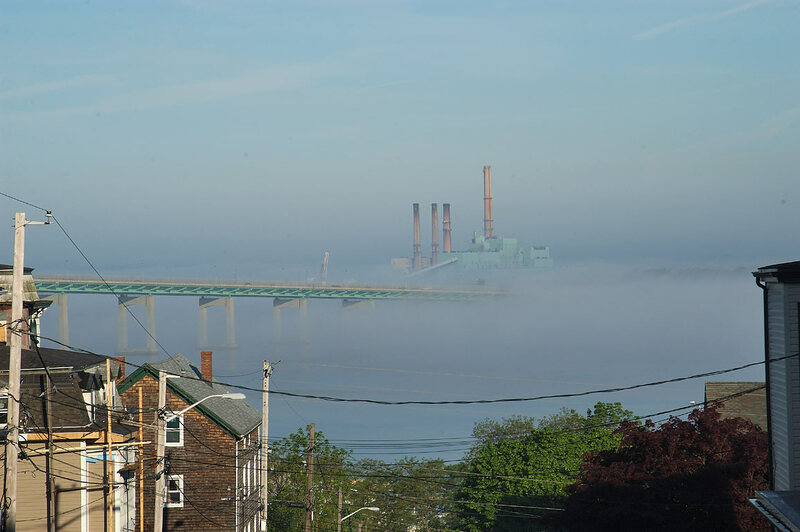 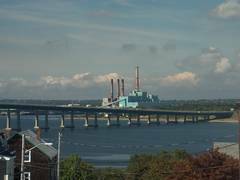 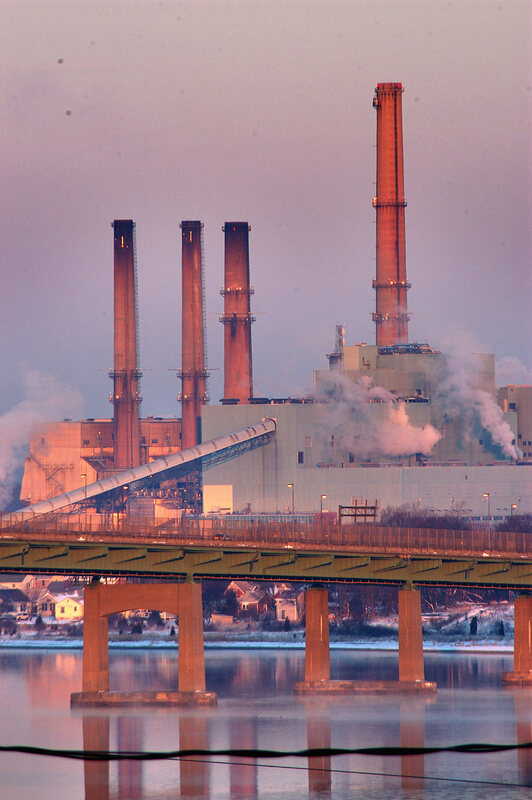 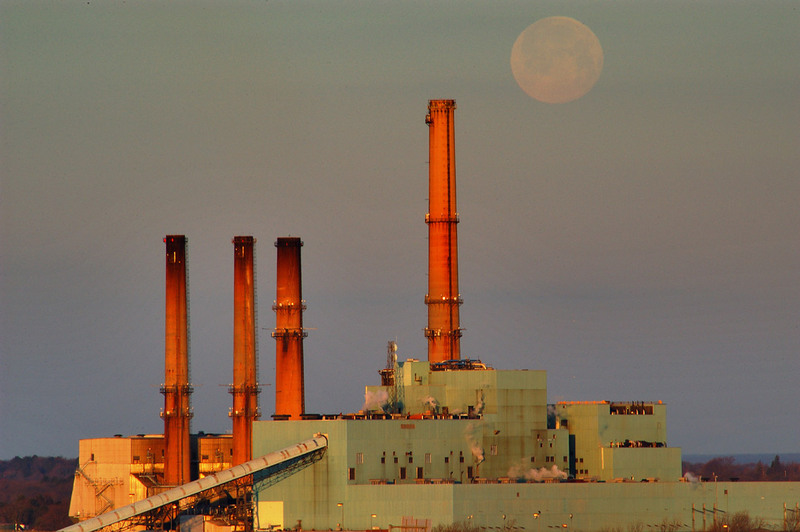 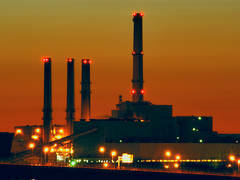 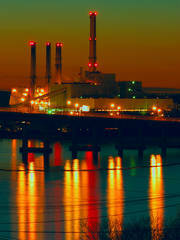 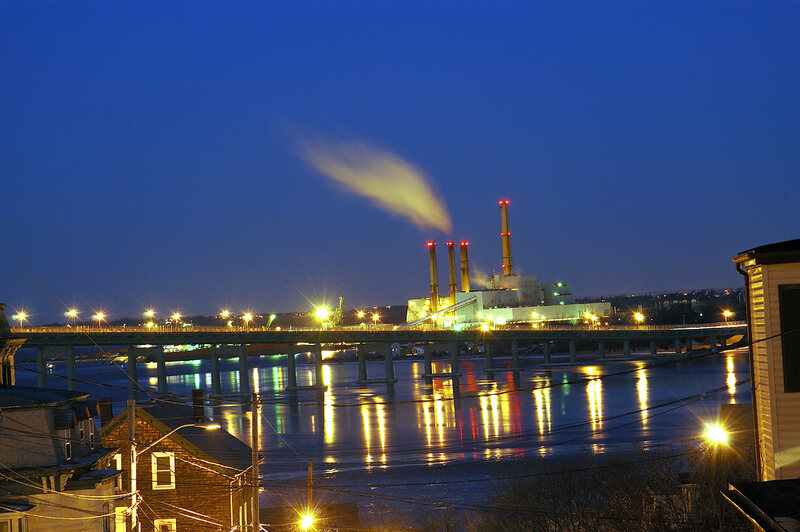 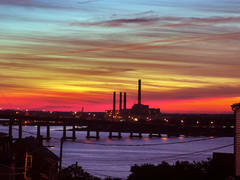 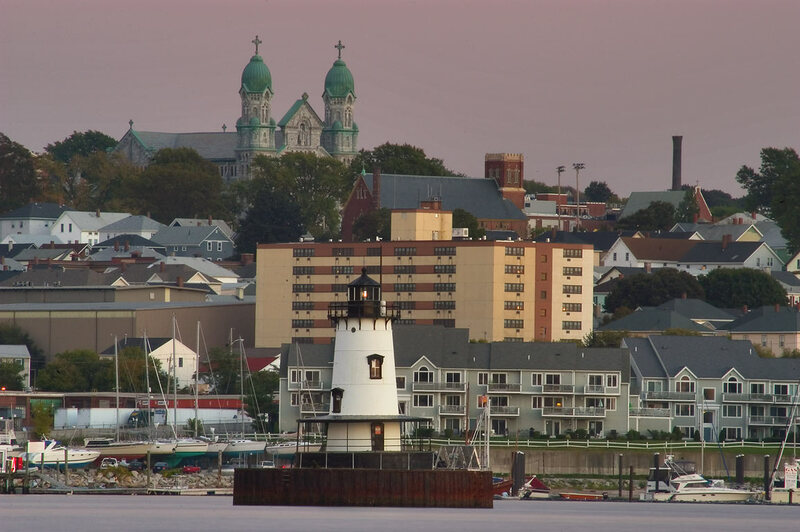 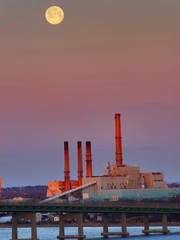 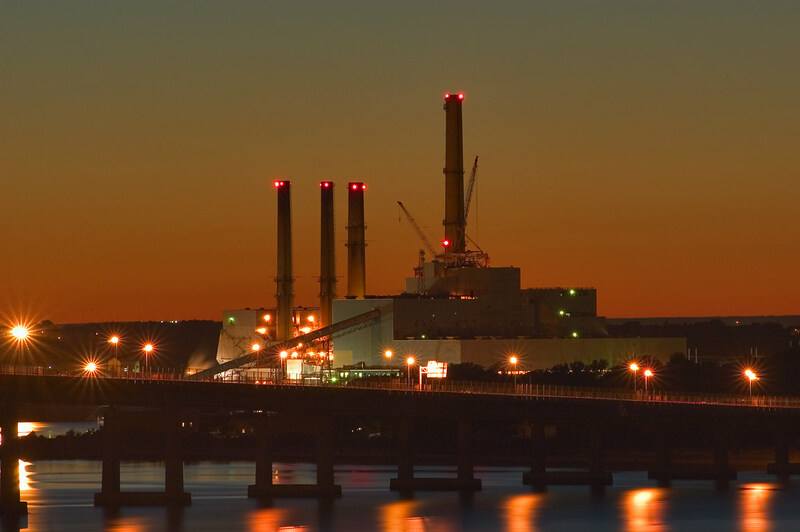 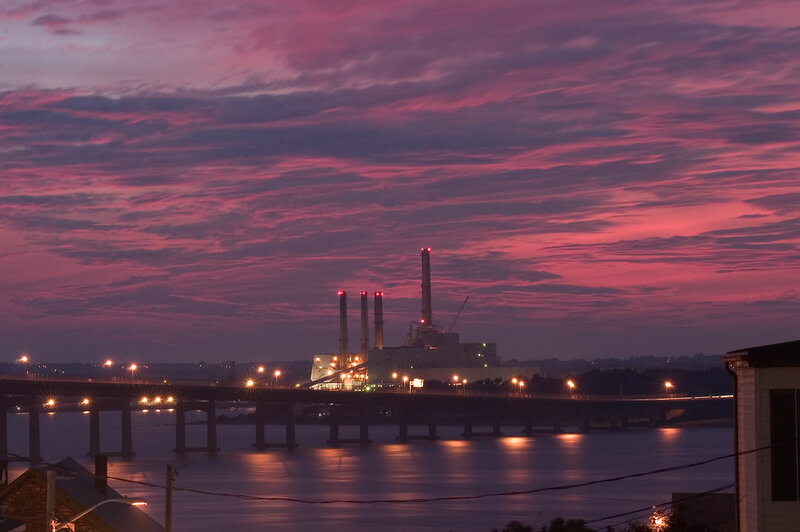 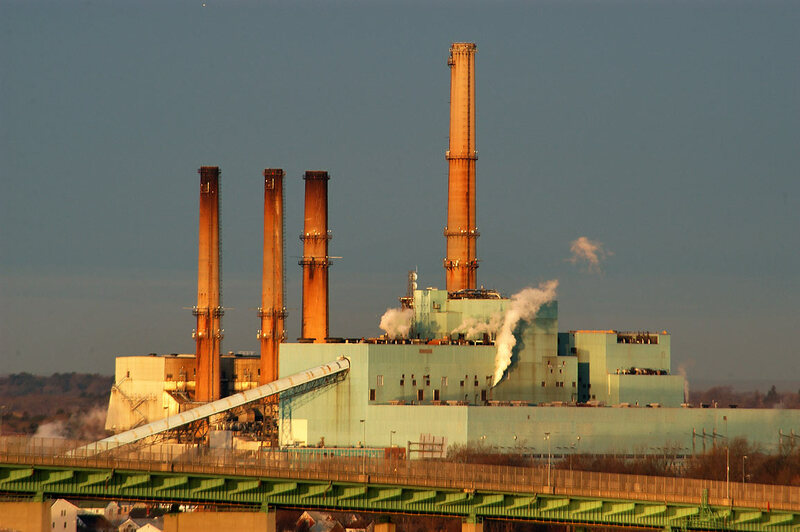 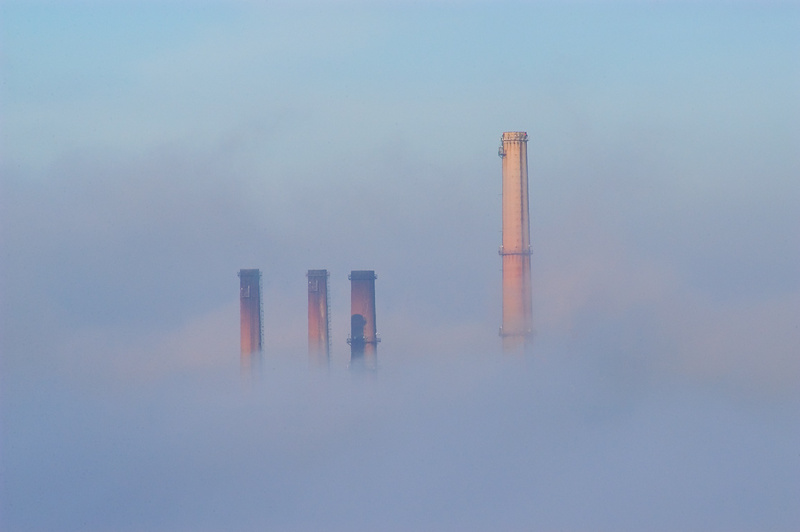 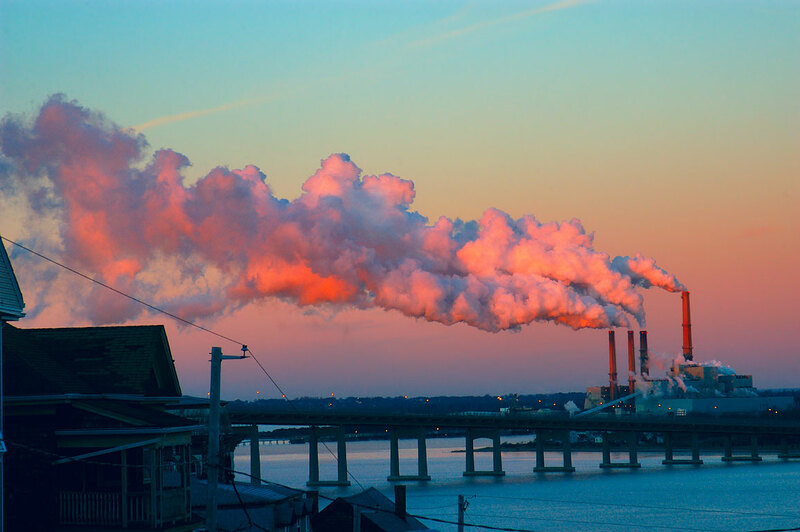 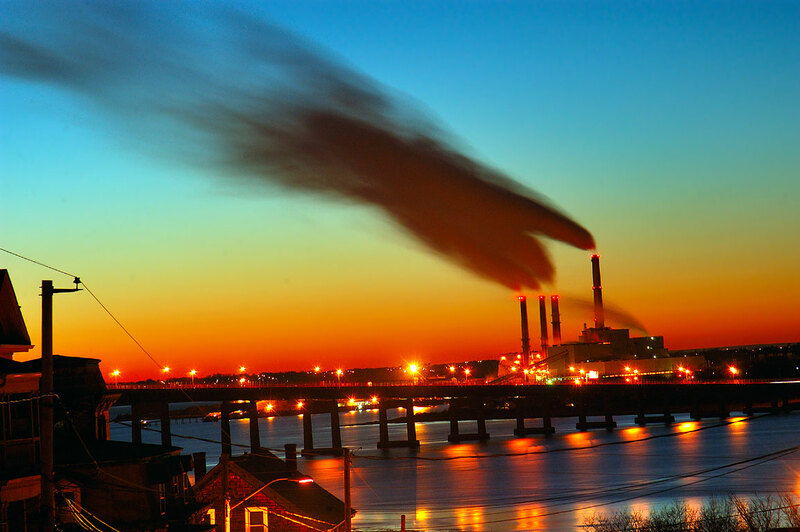 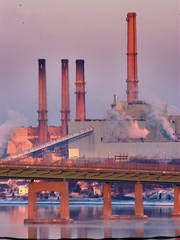 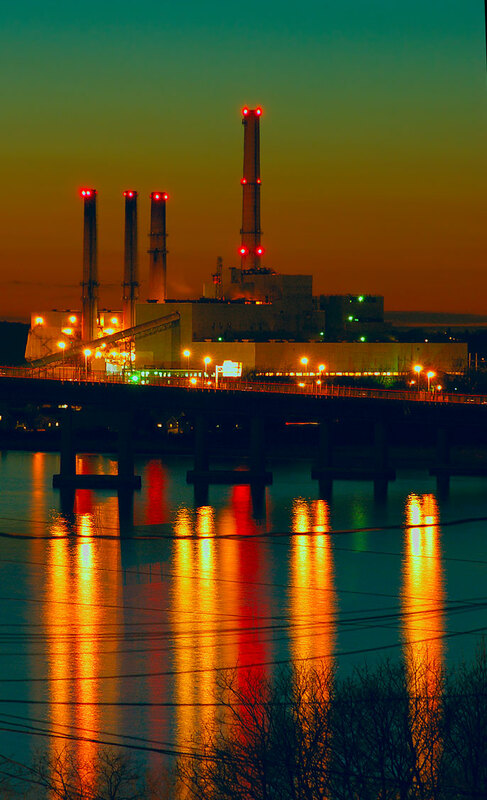 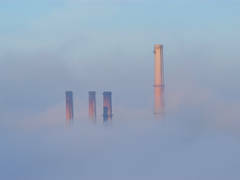 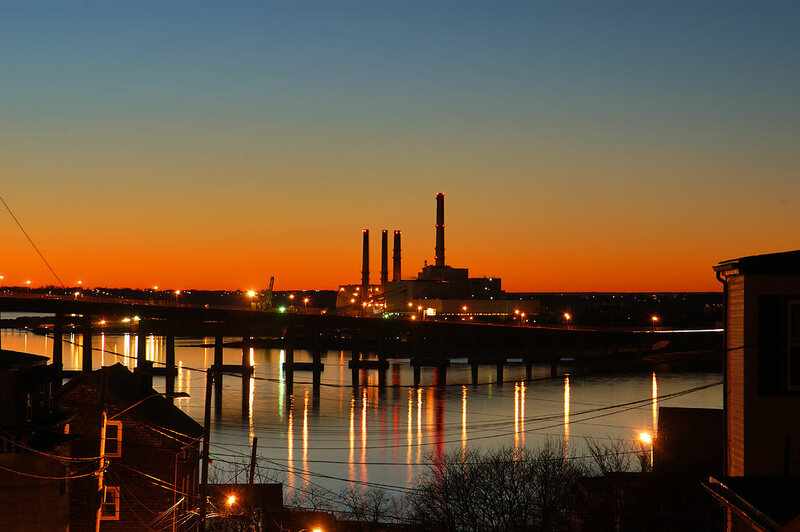 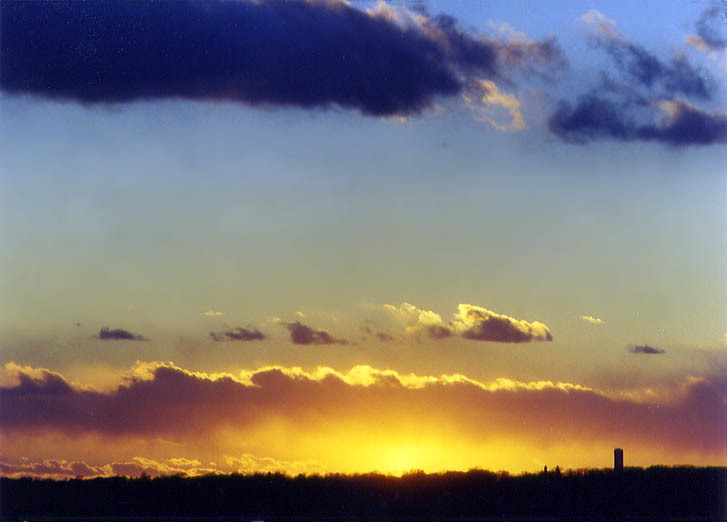 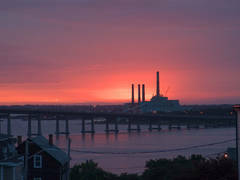 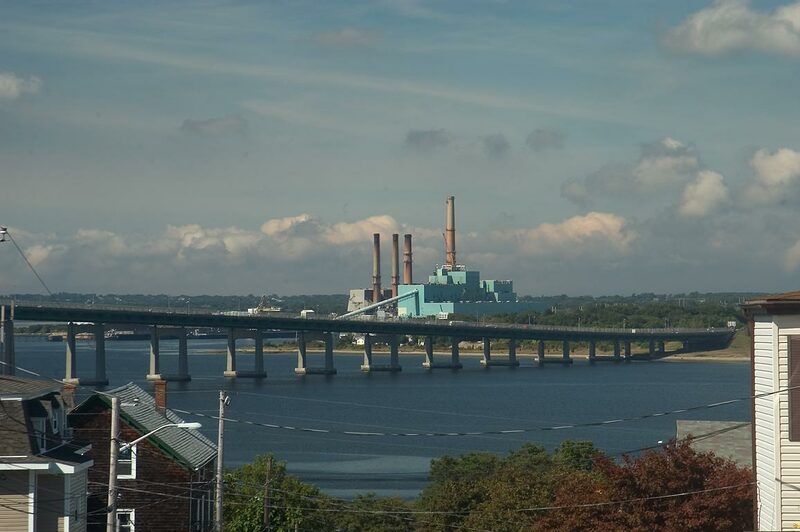 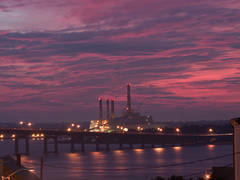 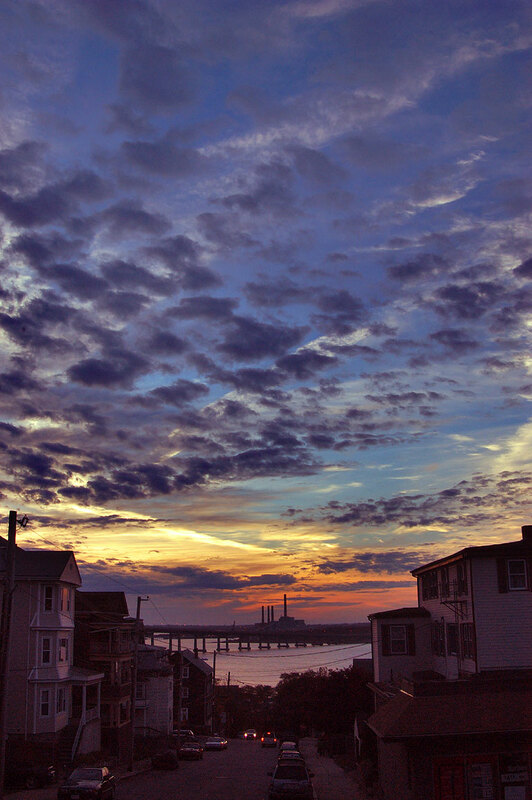 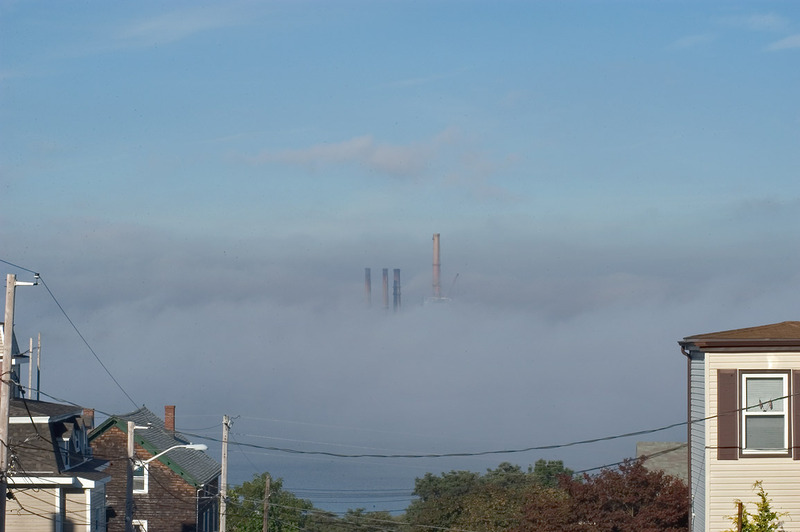 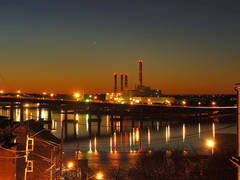 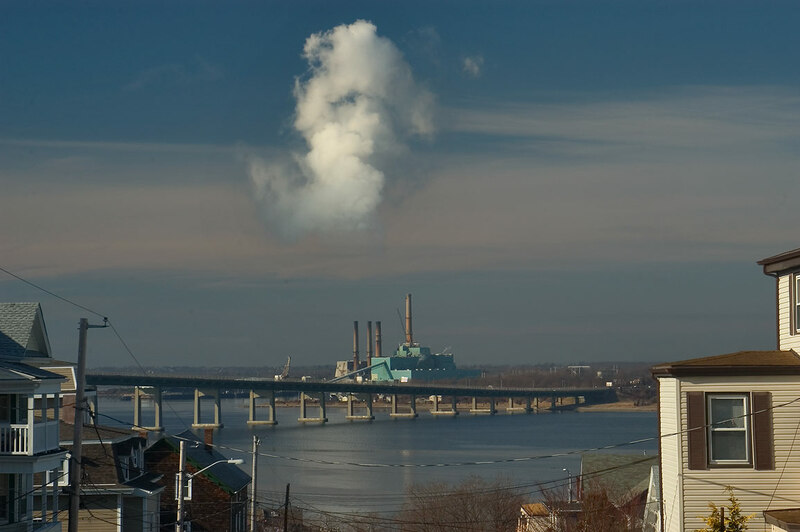 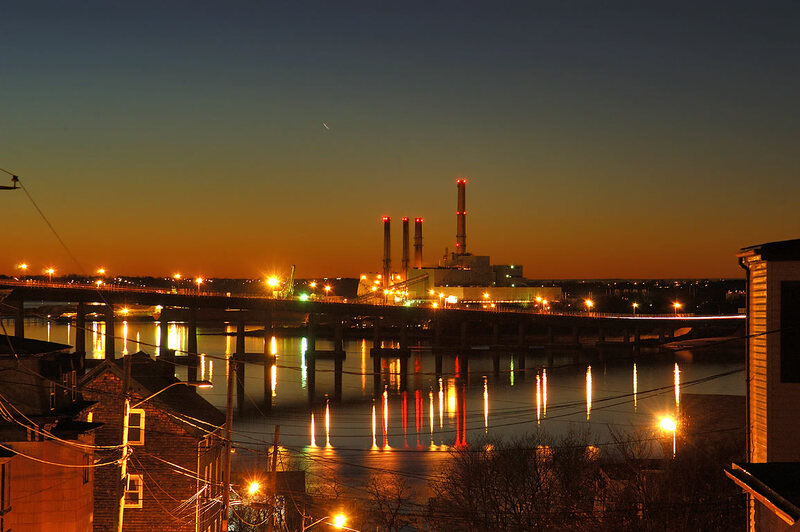 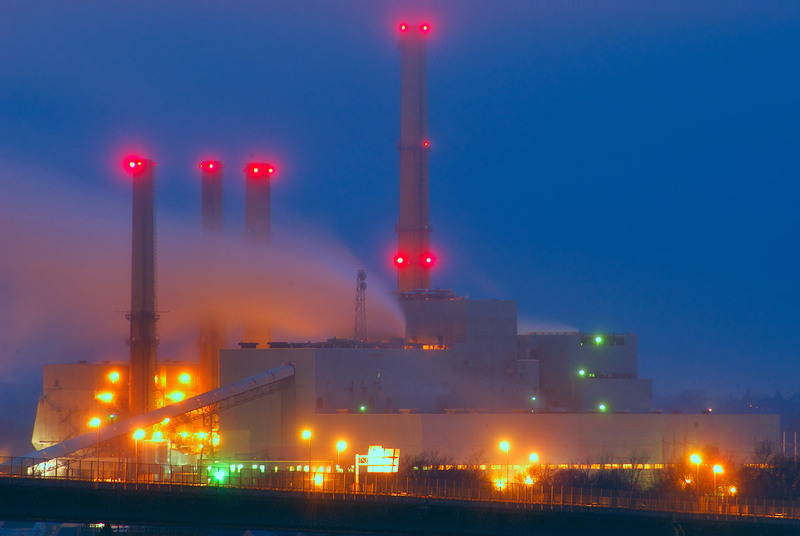 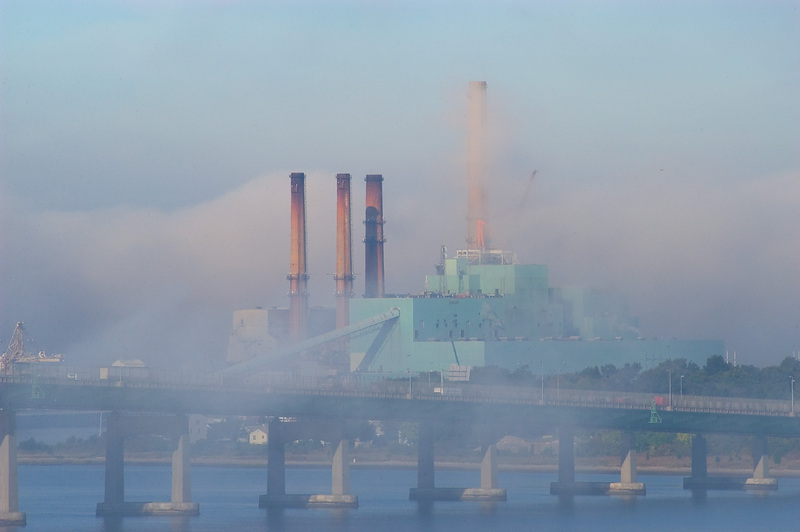 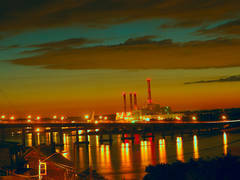 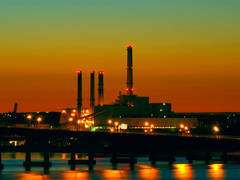 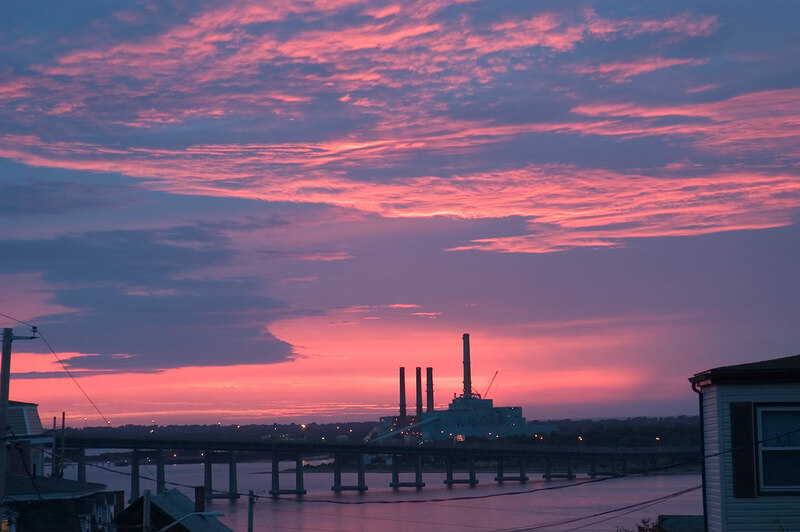 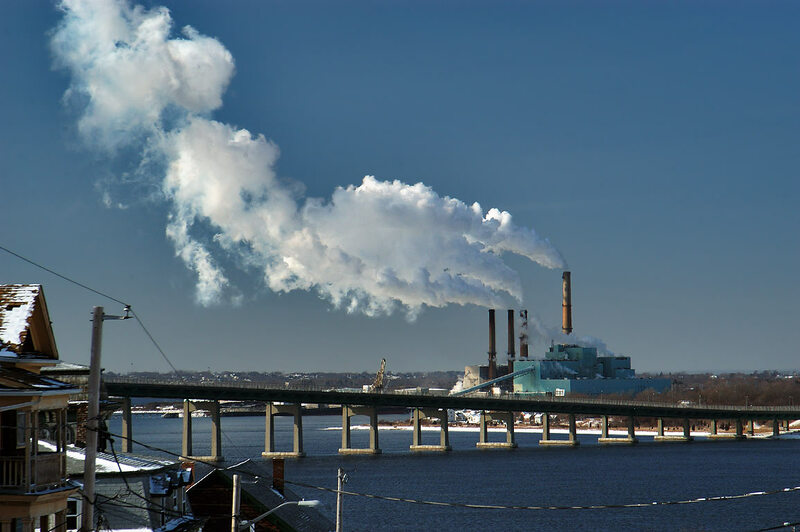 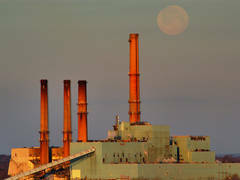 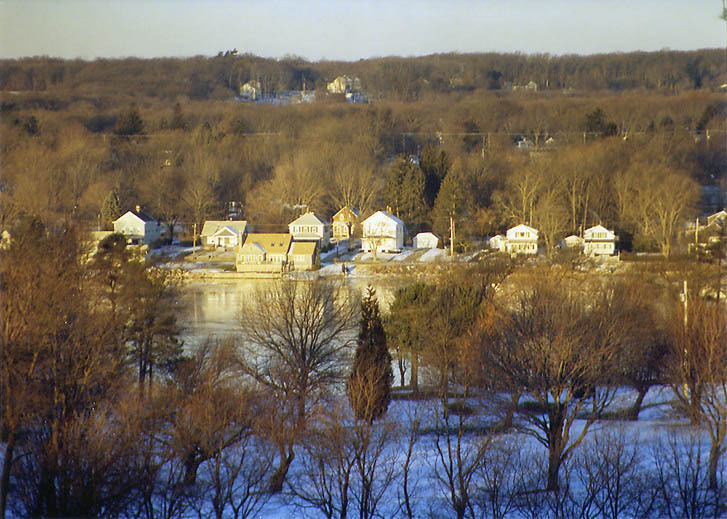 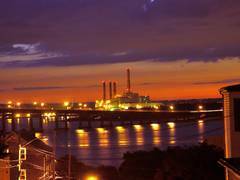 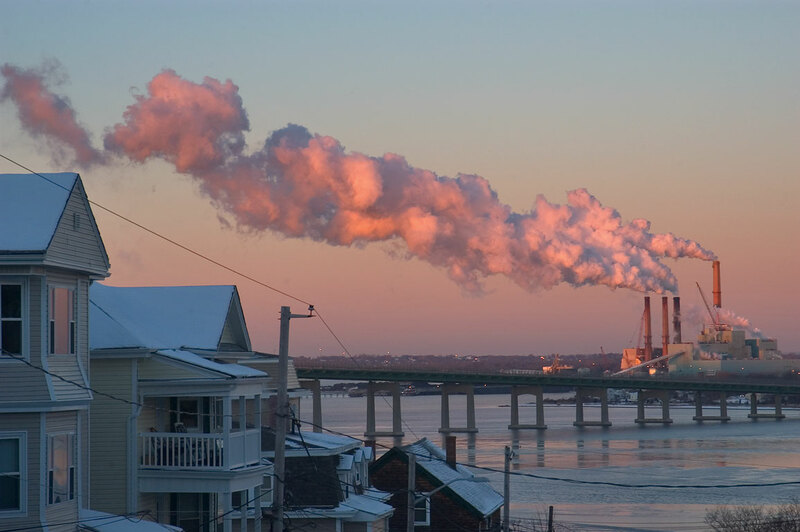 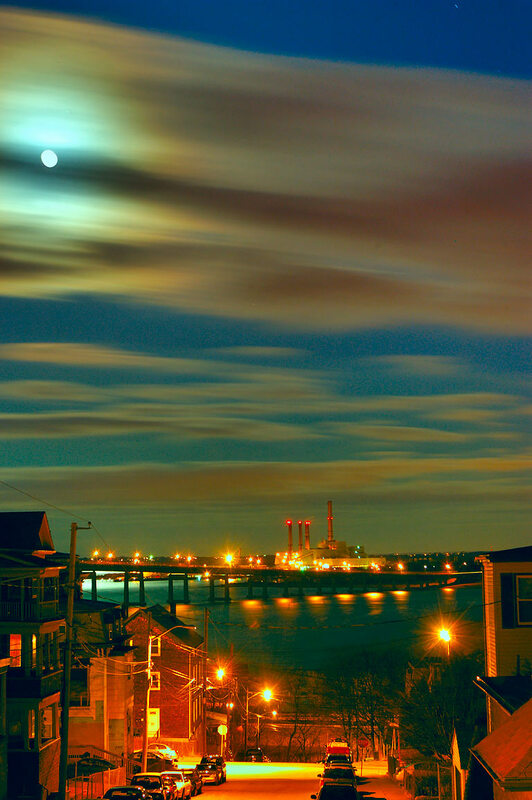 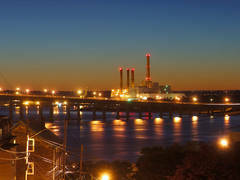 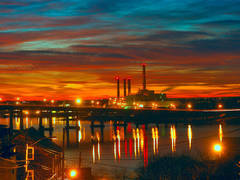 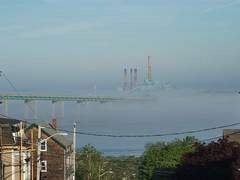 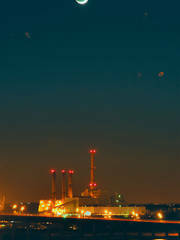 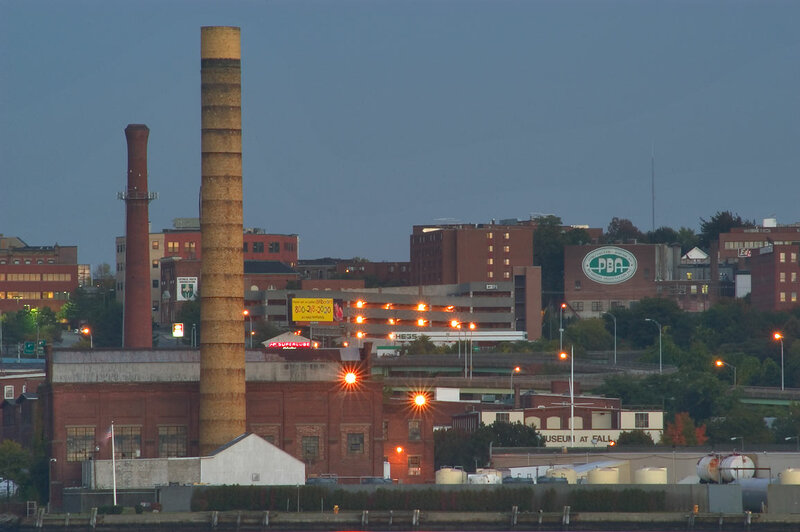 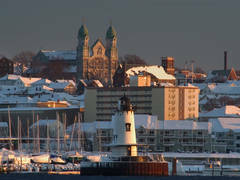 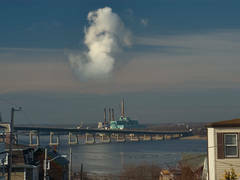 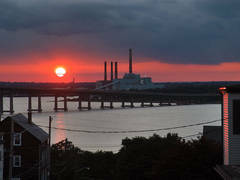 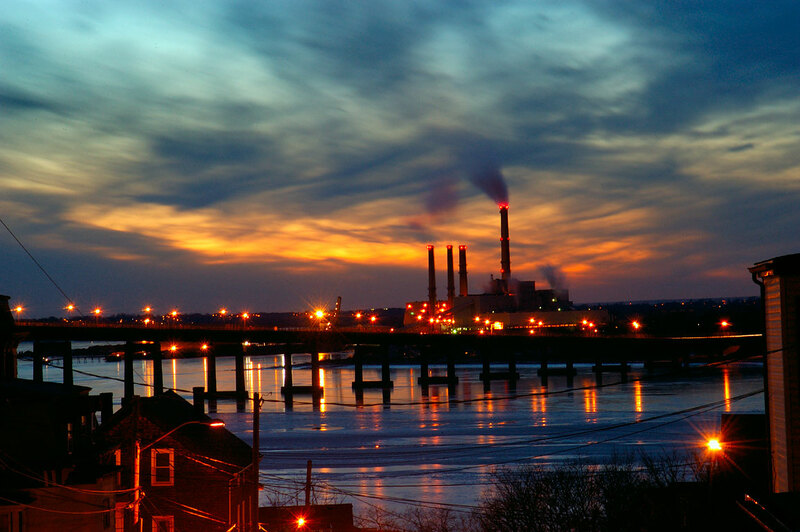 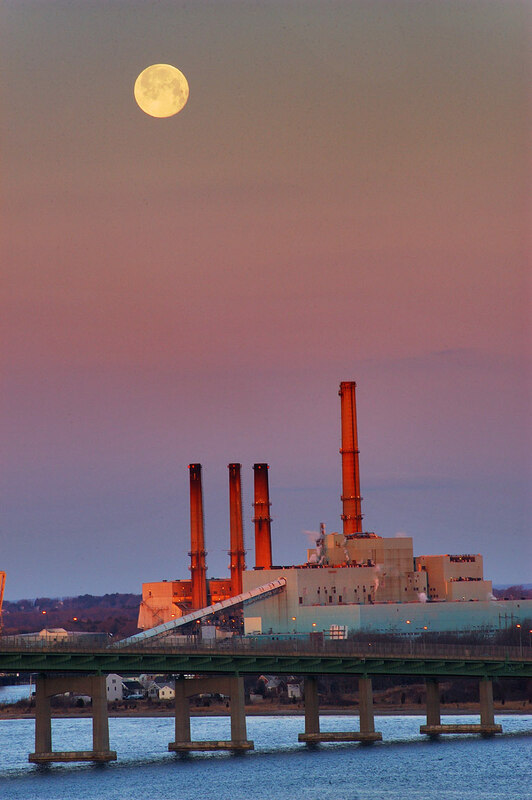 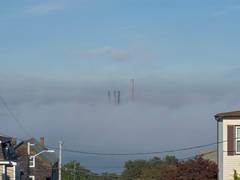 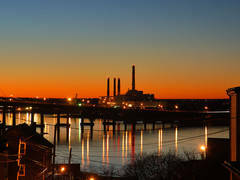 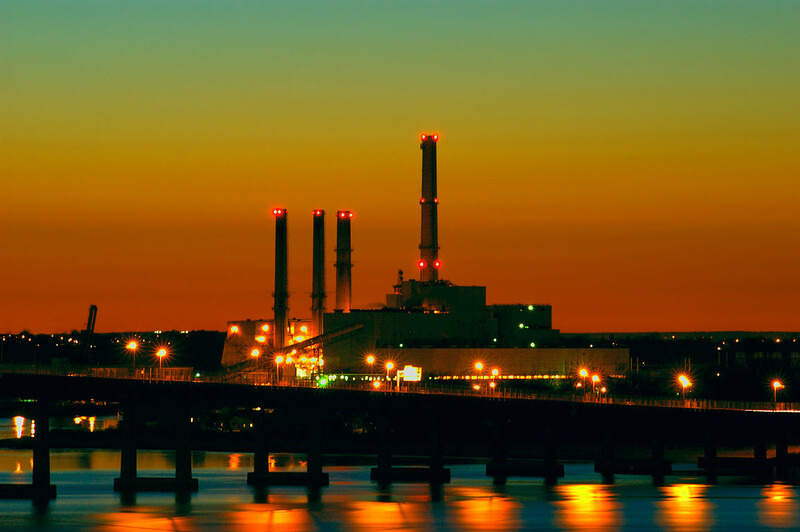 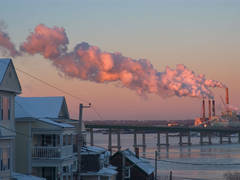 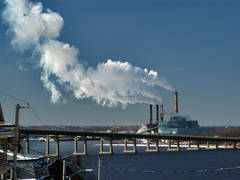 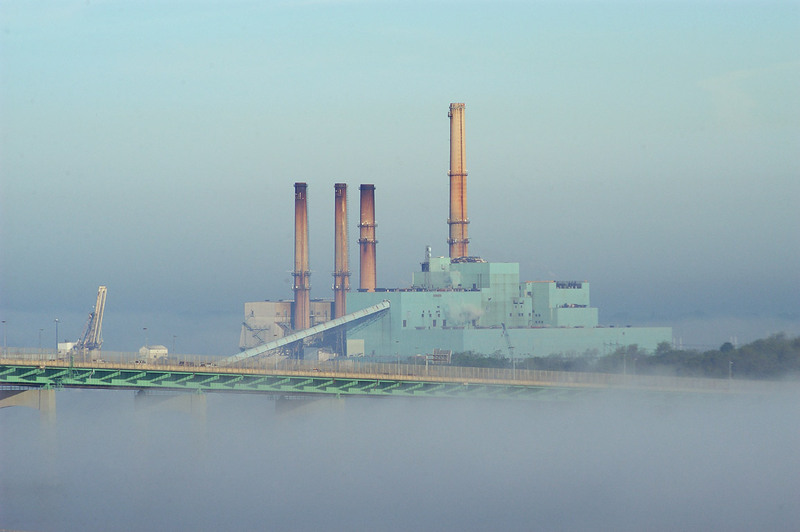 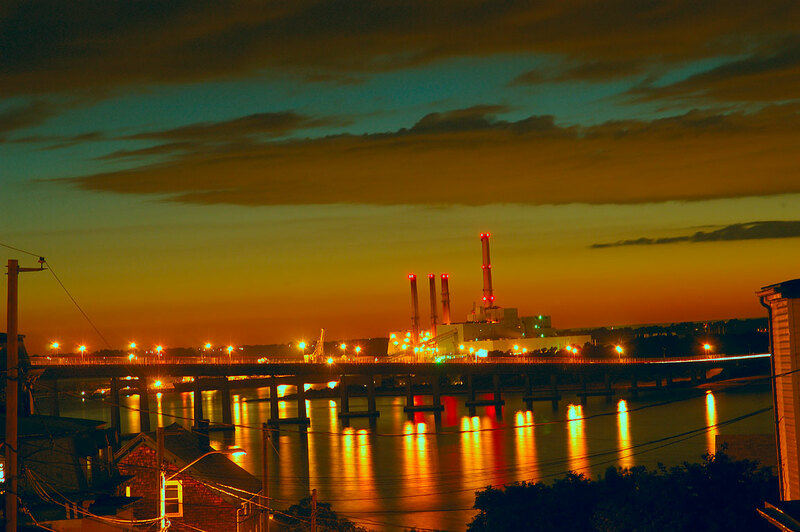 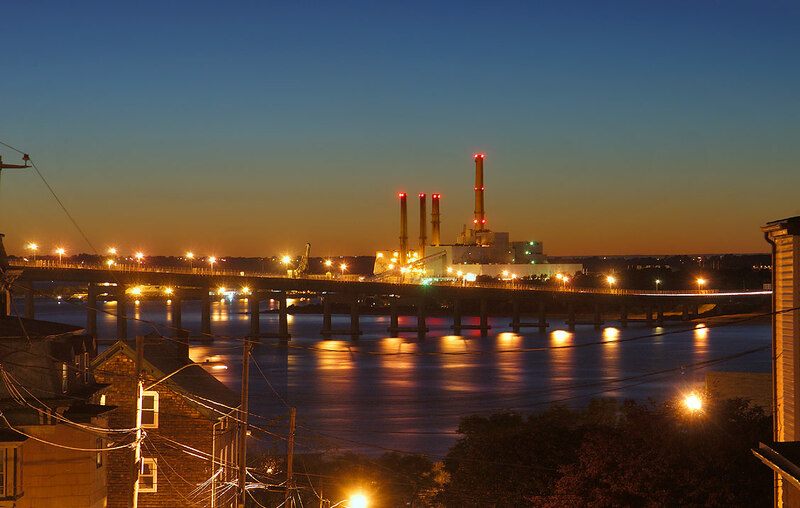 Smokestacks of Brayton Point powerplant in cold weather, Mount Hope Bay and Cedar Street from an apartment in Highlands District. 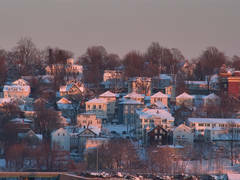 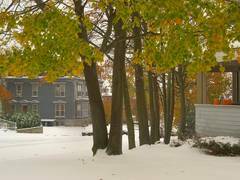 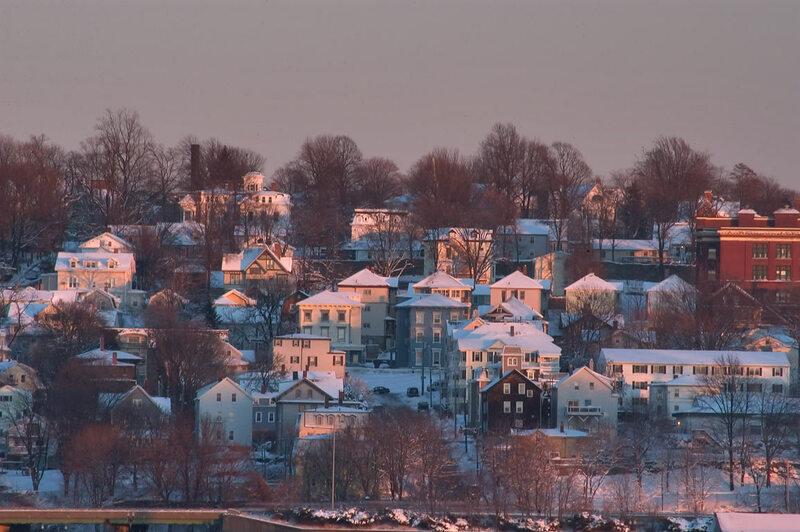 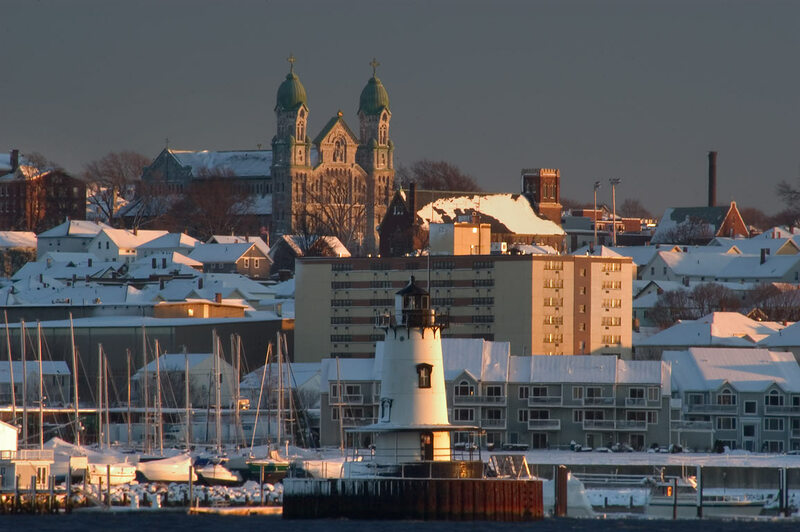 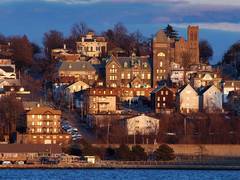 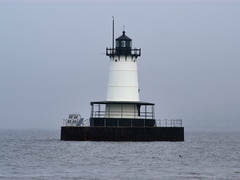 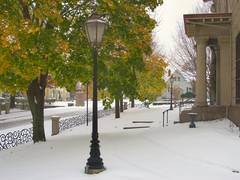 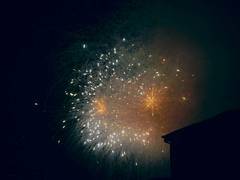 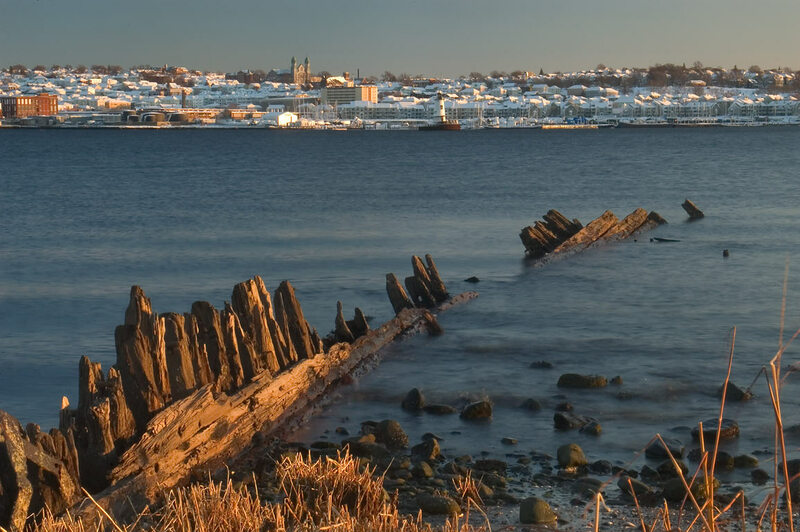 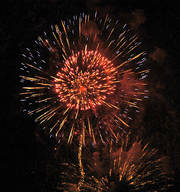 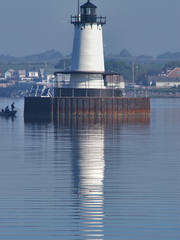 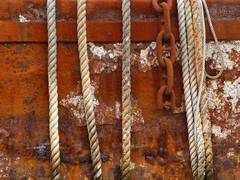 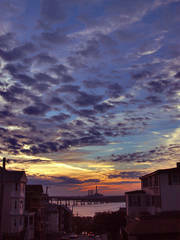 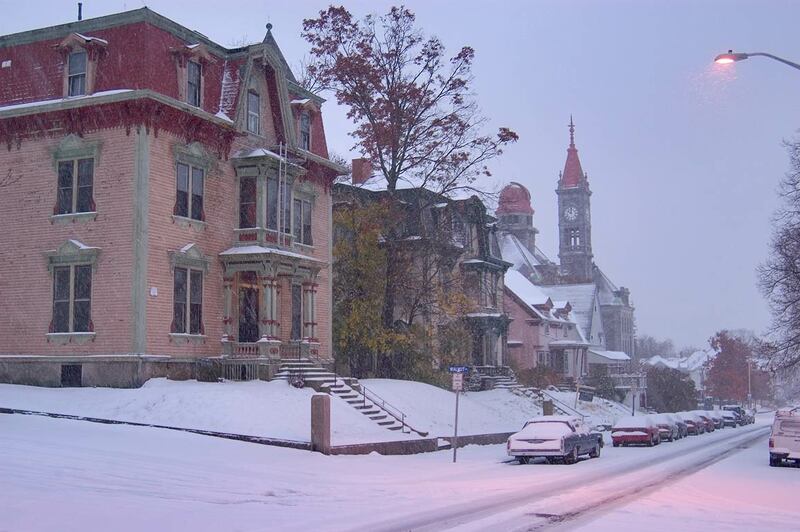 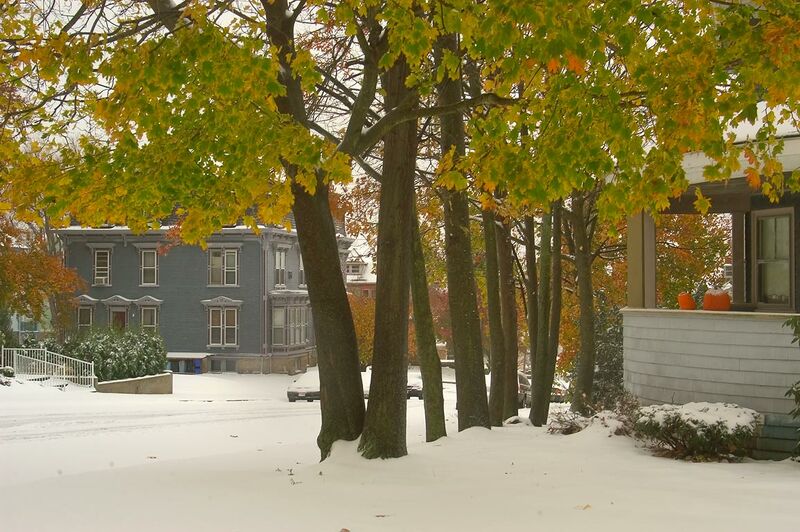 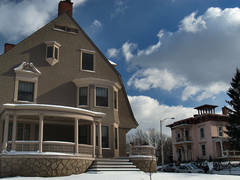 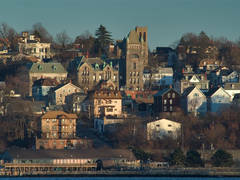 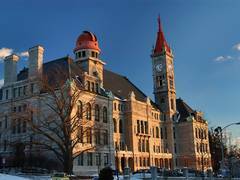 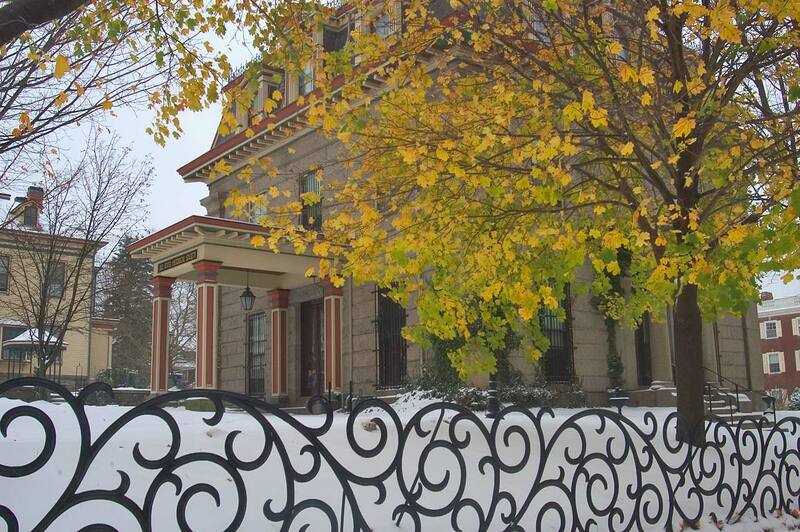 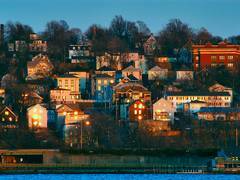 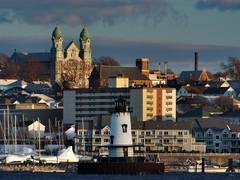 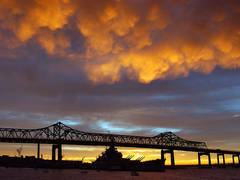 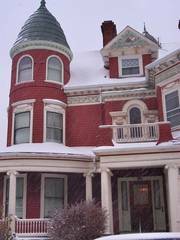 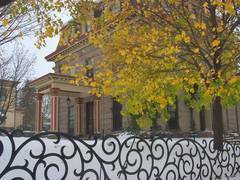 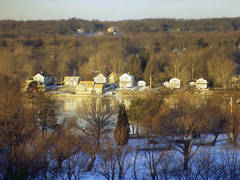 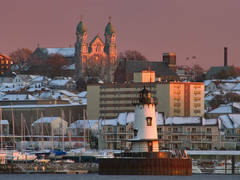 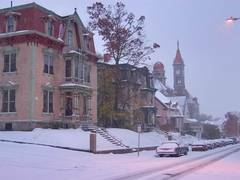 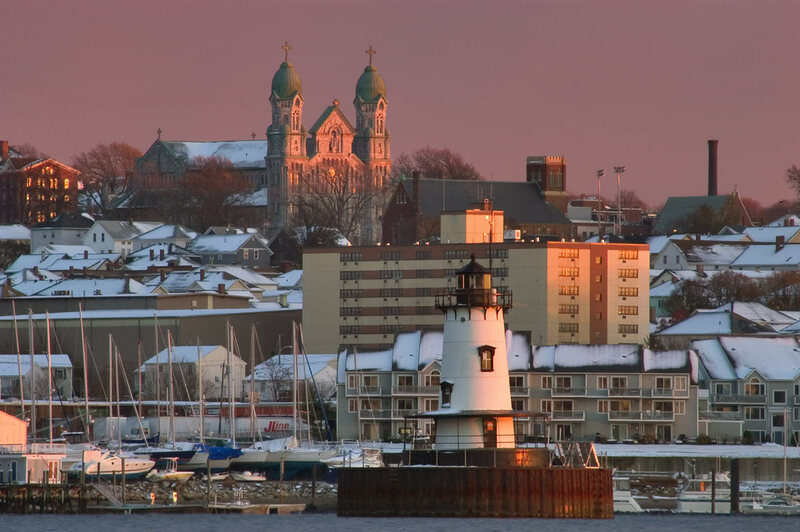 Fall River, Massachusetts, January 21, 2005. 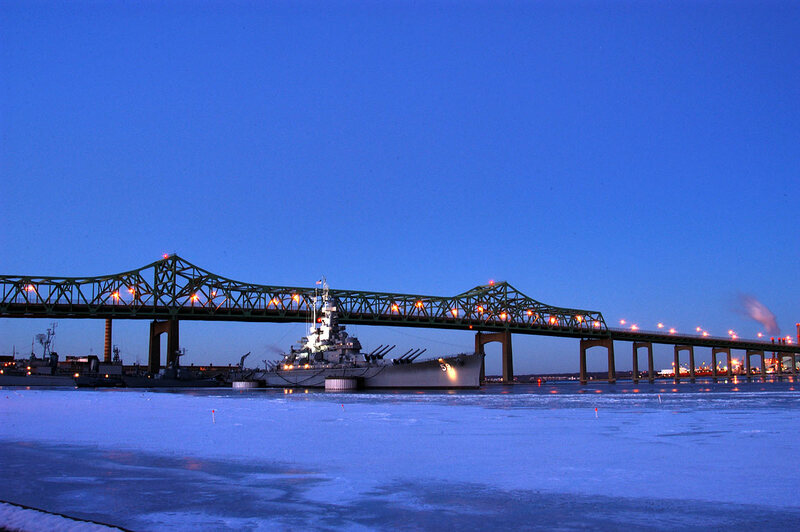 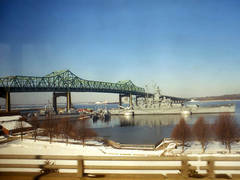 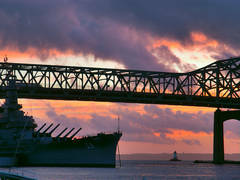 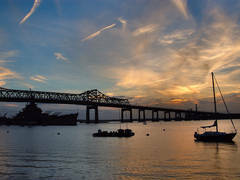 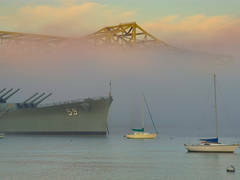 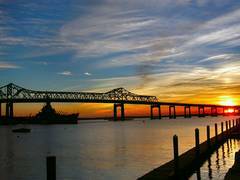 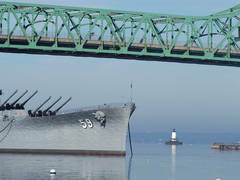 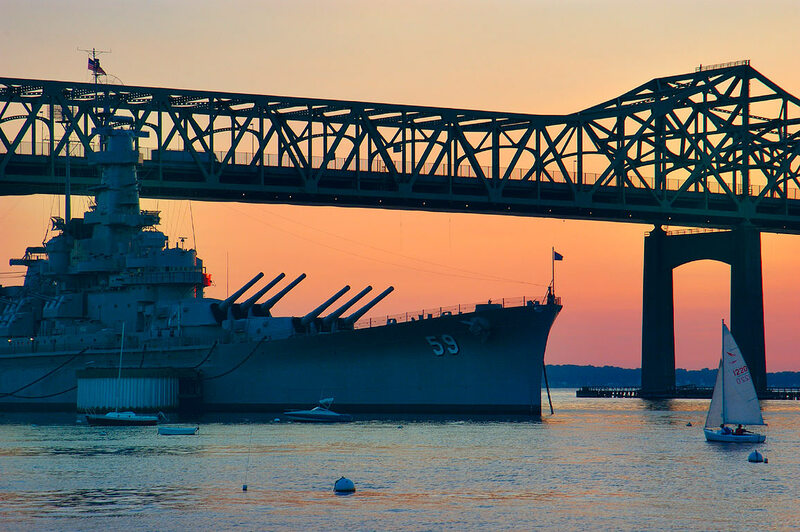 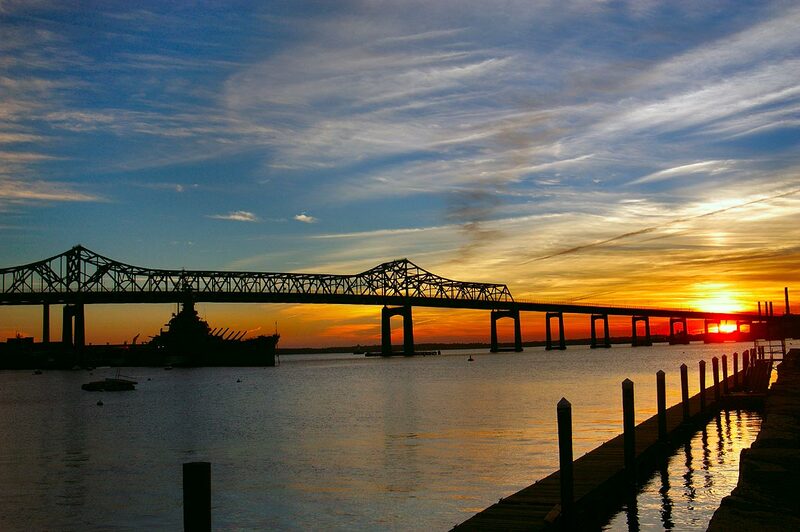 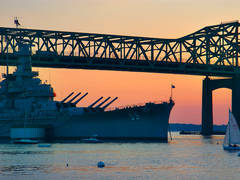 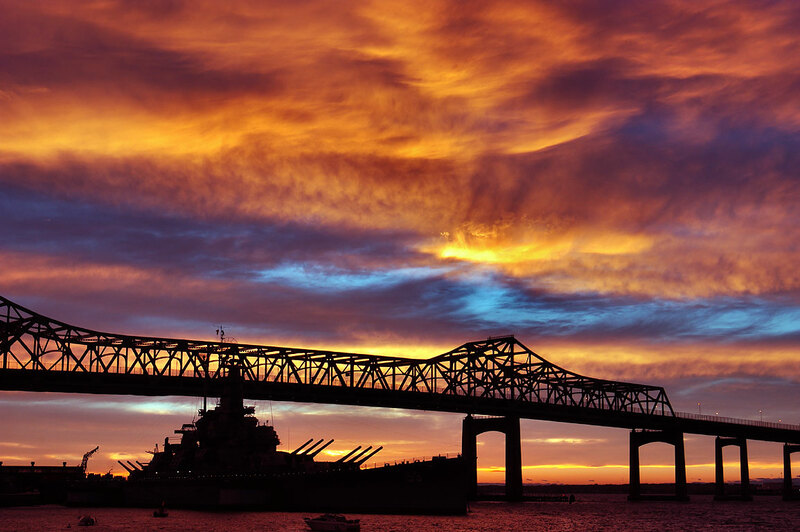 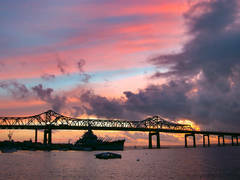 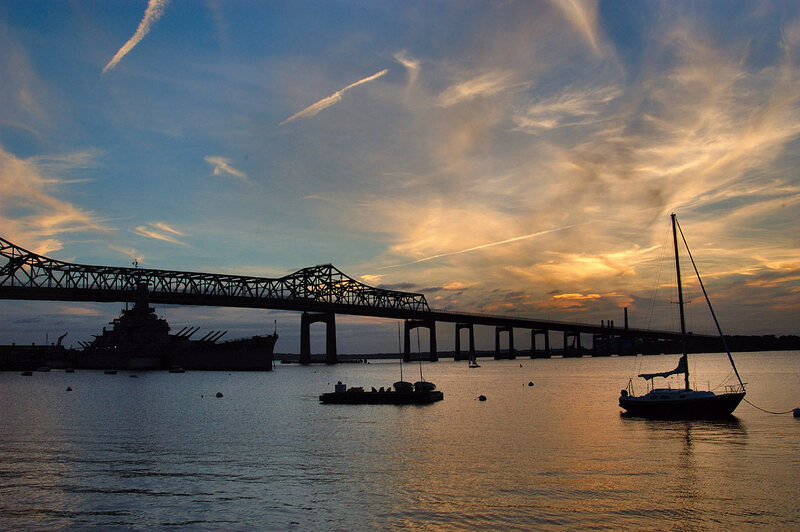 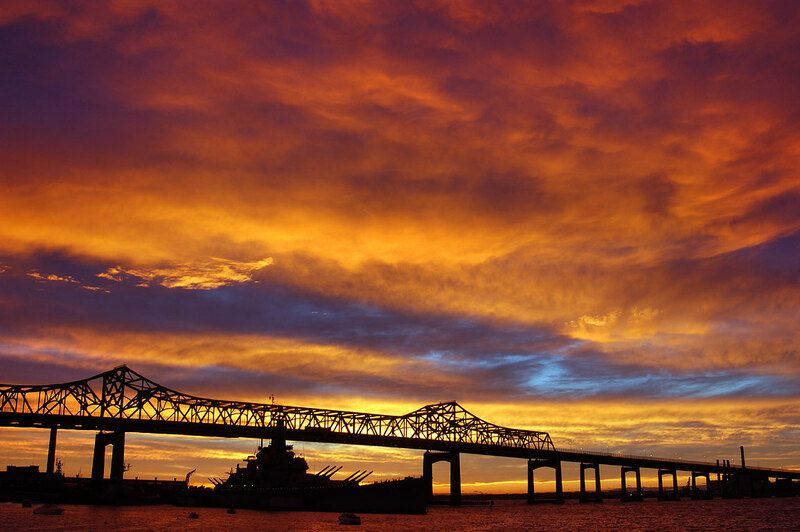 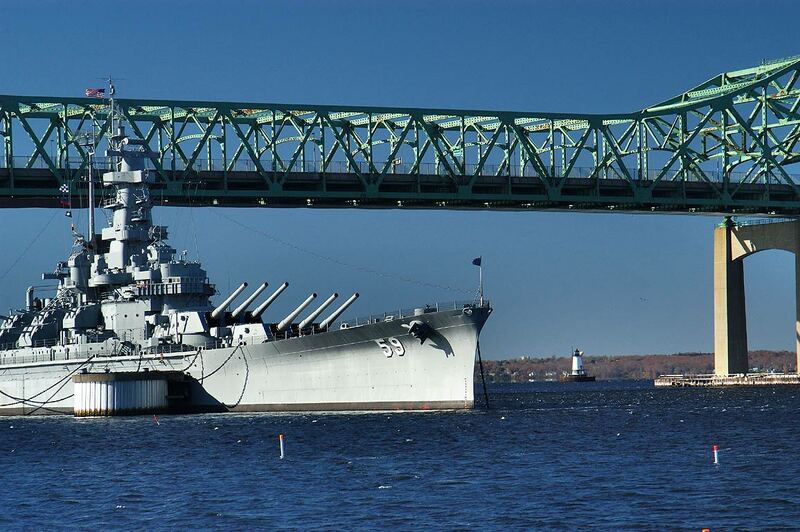 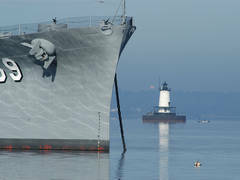 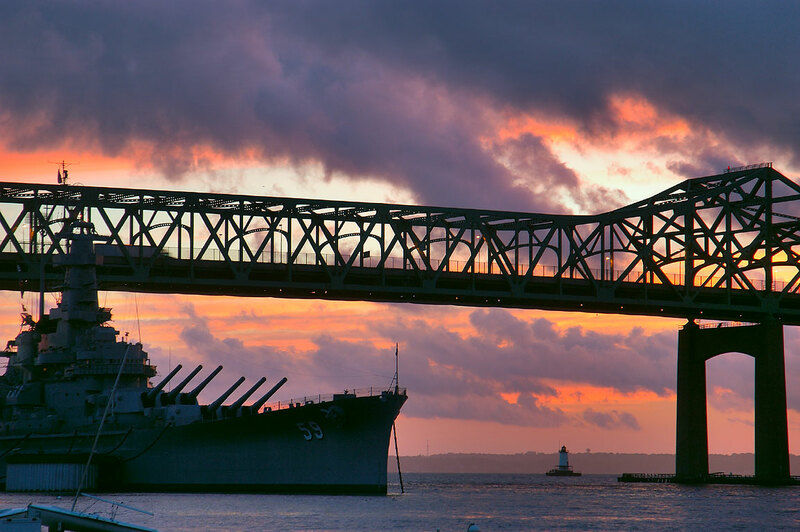 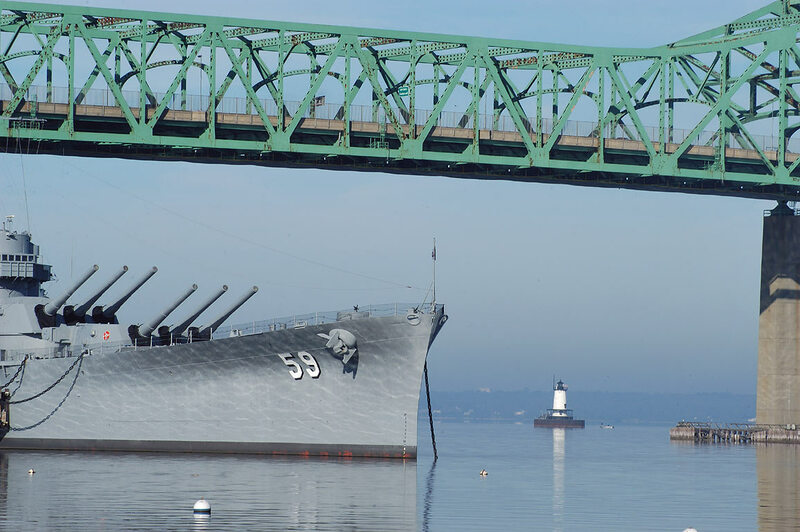 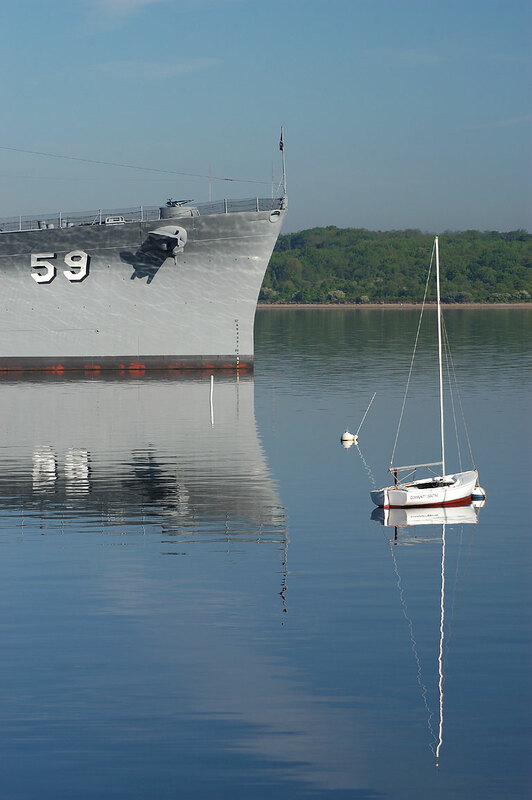 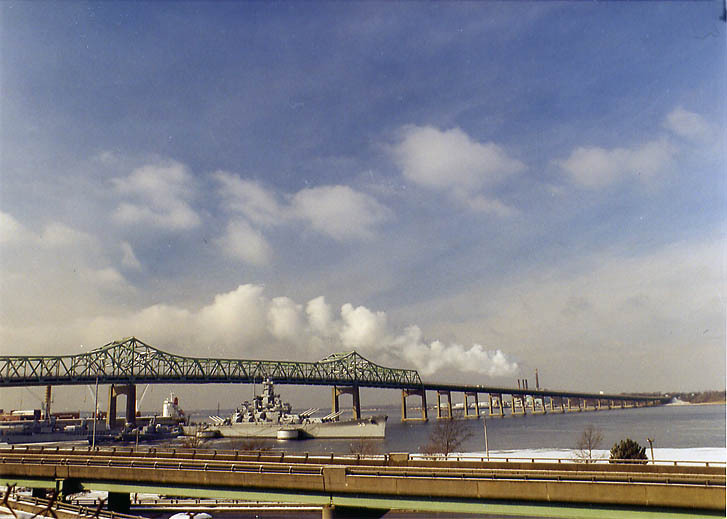 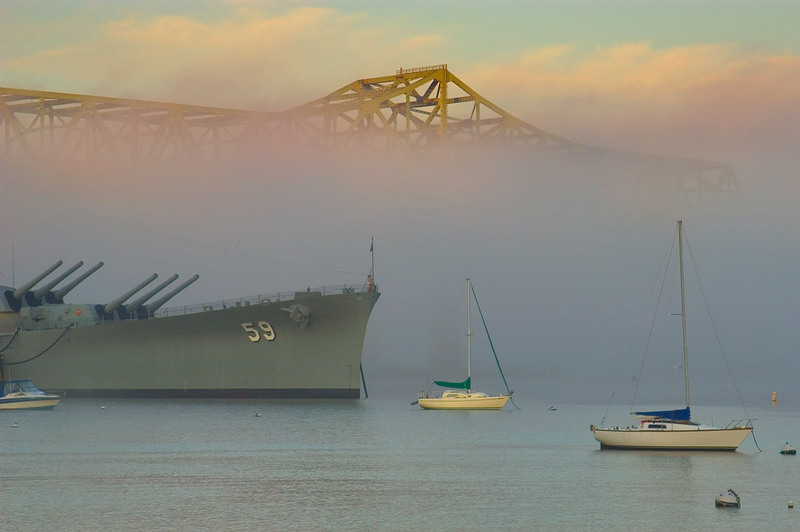 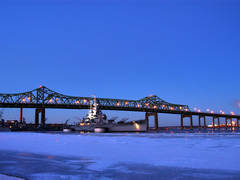 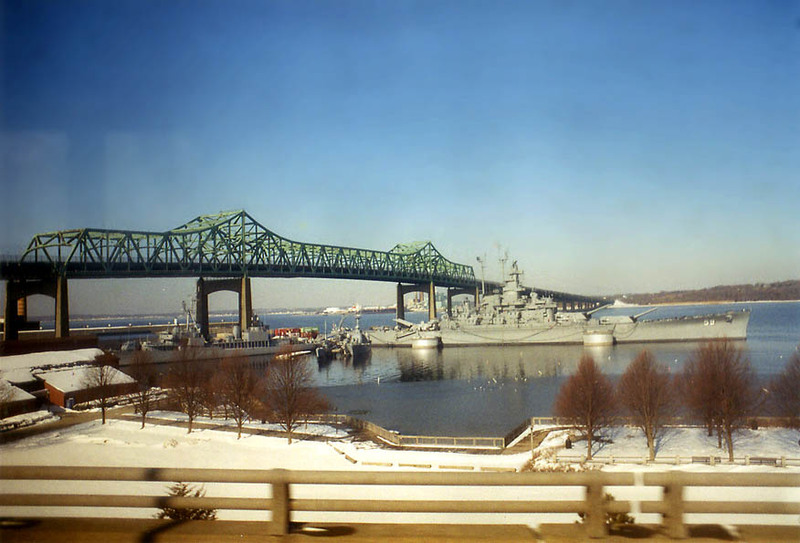 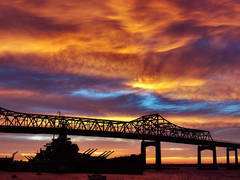 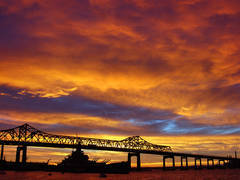 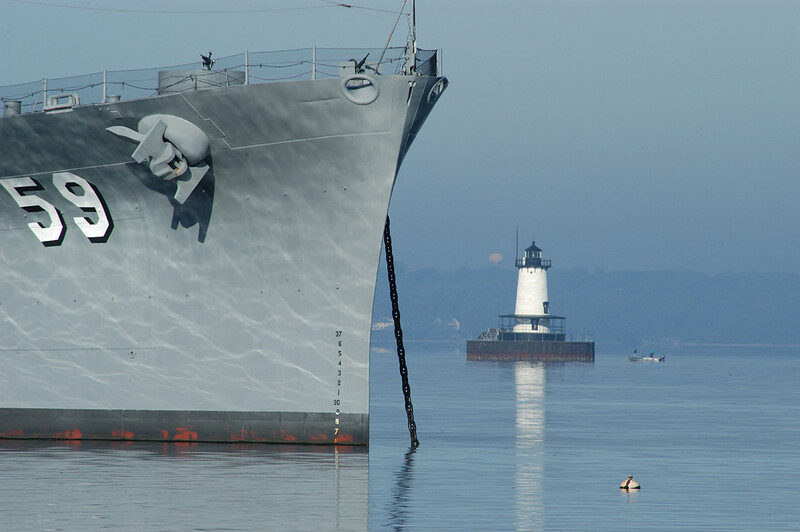 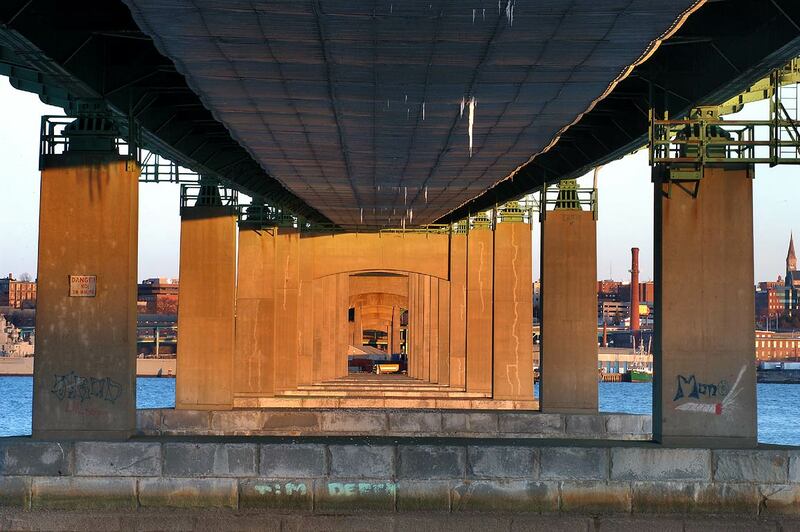 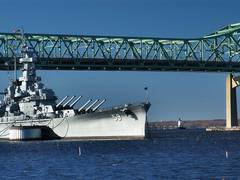 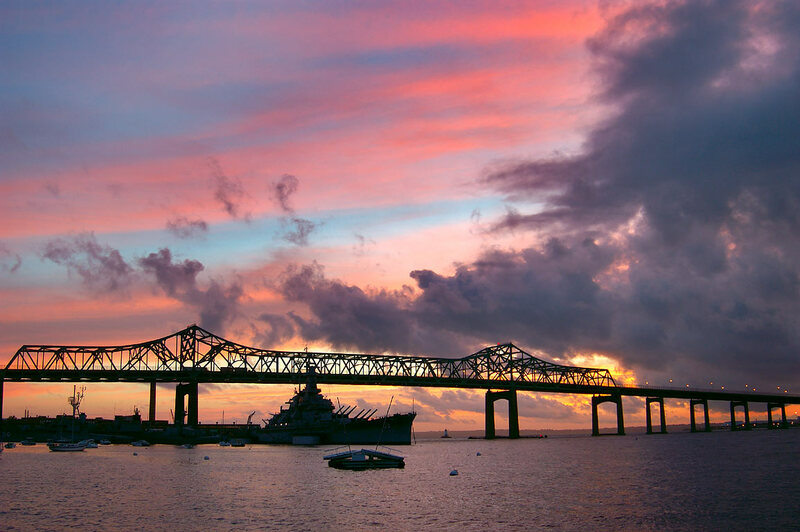 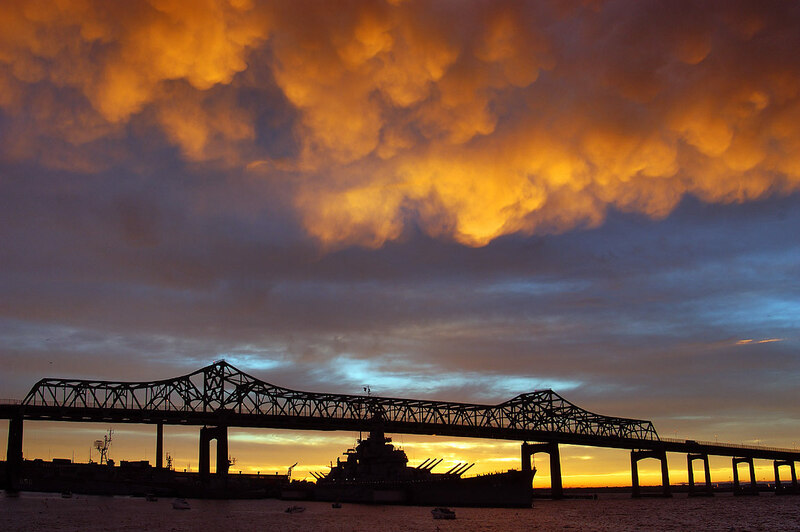 Taunton River, battleship BB-59 USS Massachusetts and Braga Bridge from a bus moving on Highway 79. 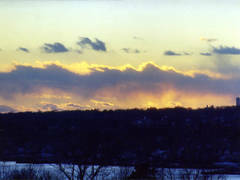 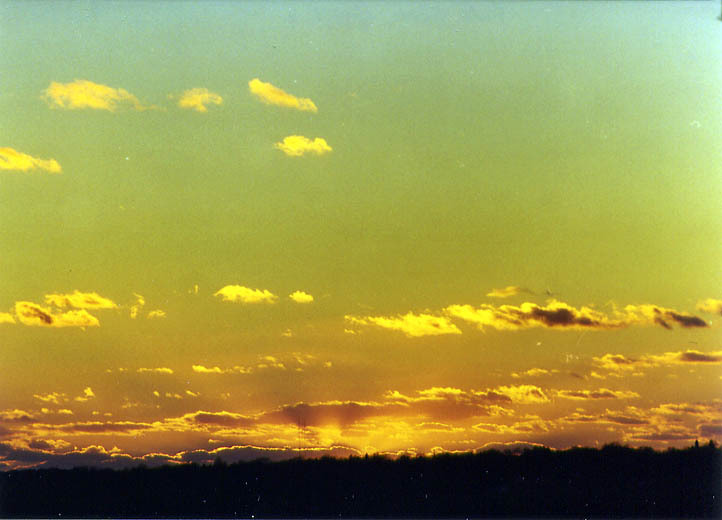 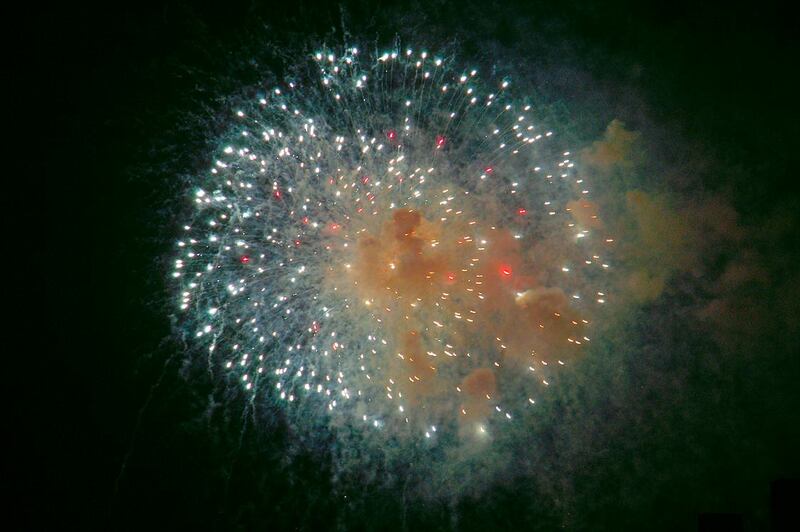 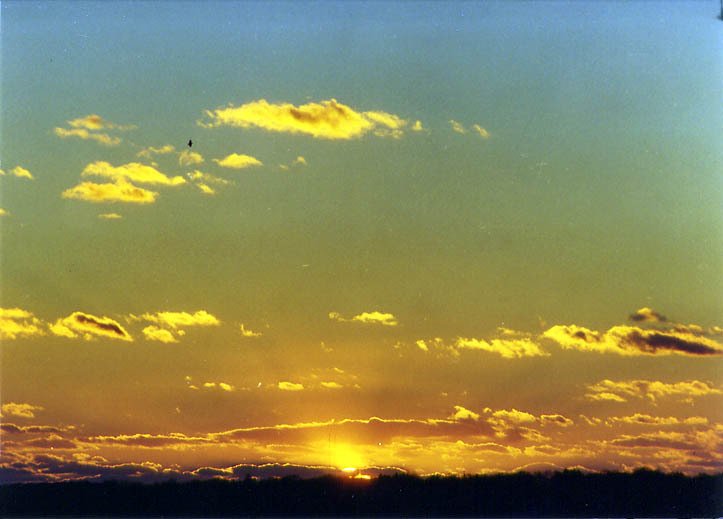 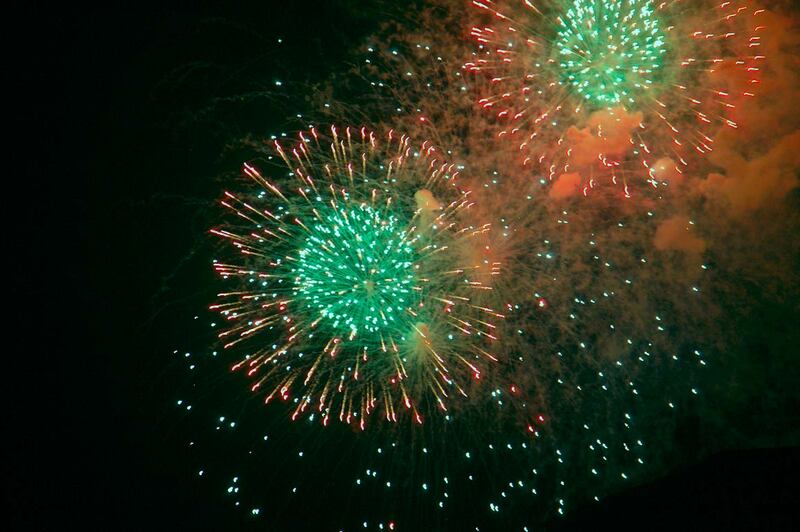 Fall River, Massachusetts, March 8, 2003. 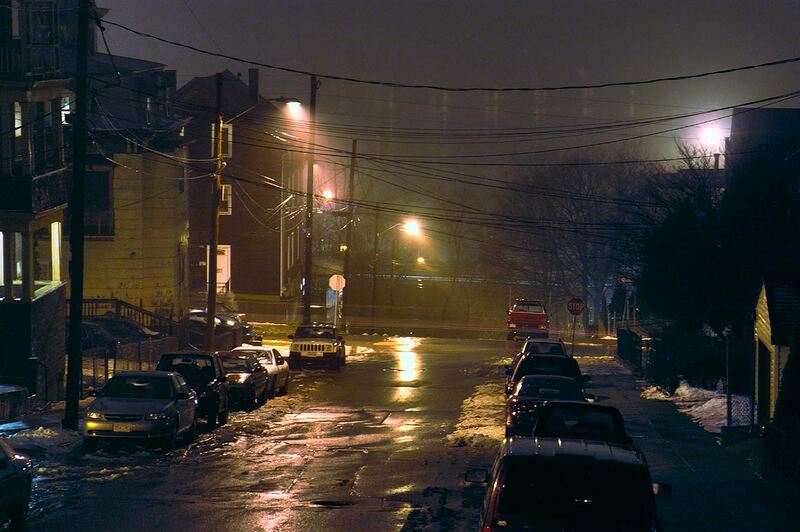 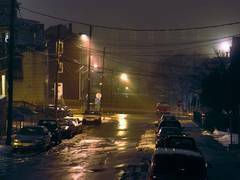 Cedar Street from an apartment in Highlands District at 9:19 p.m. at foggy and rainy evening. 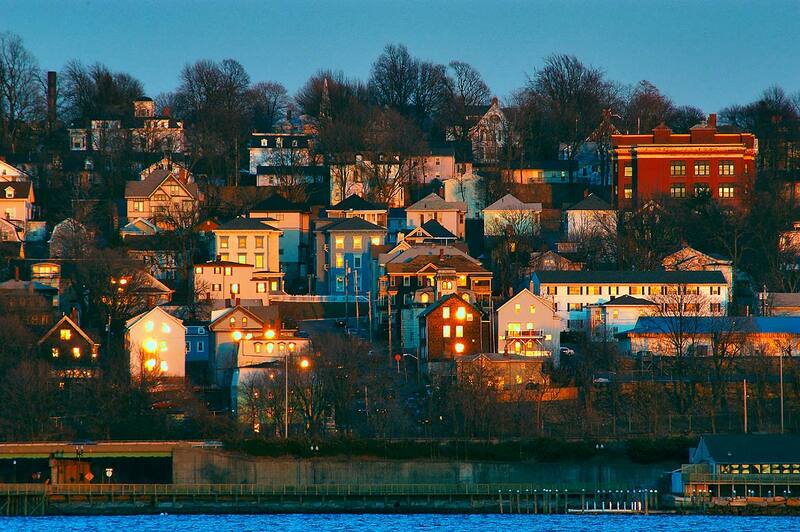 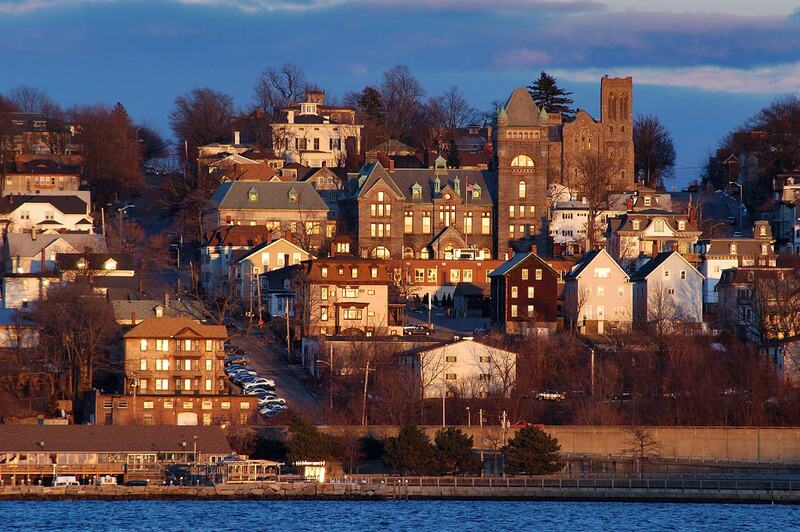 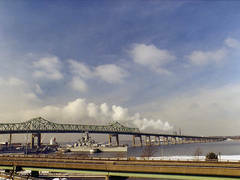 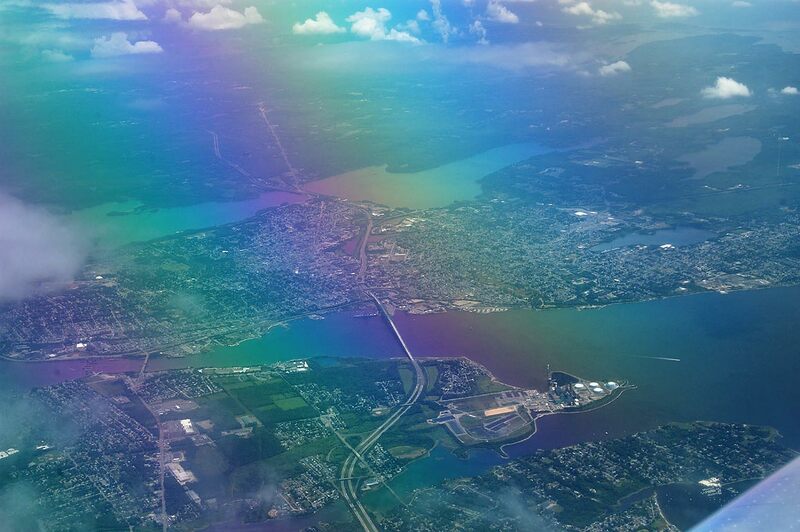 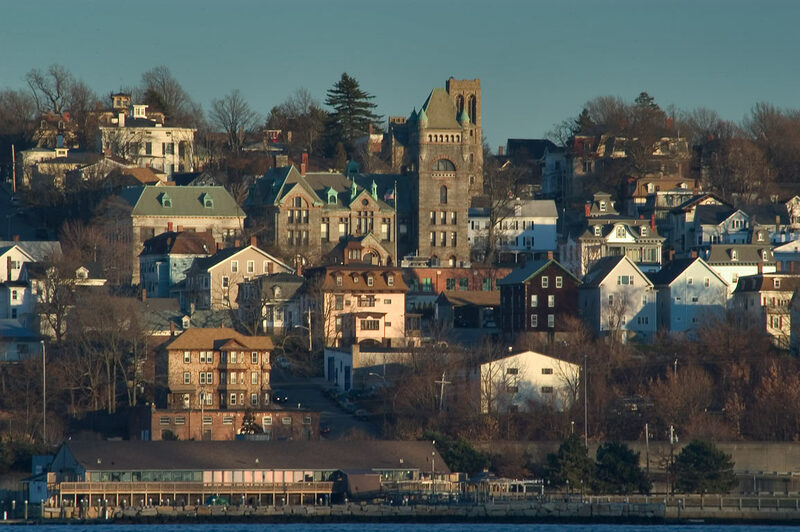 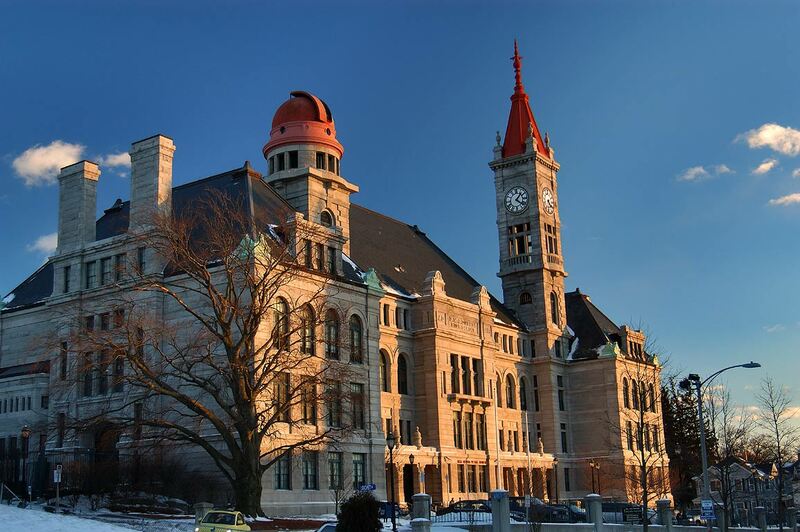 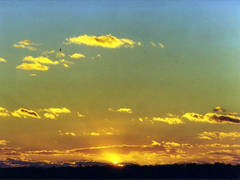 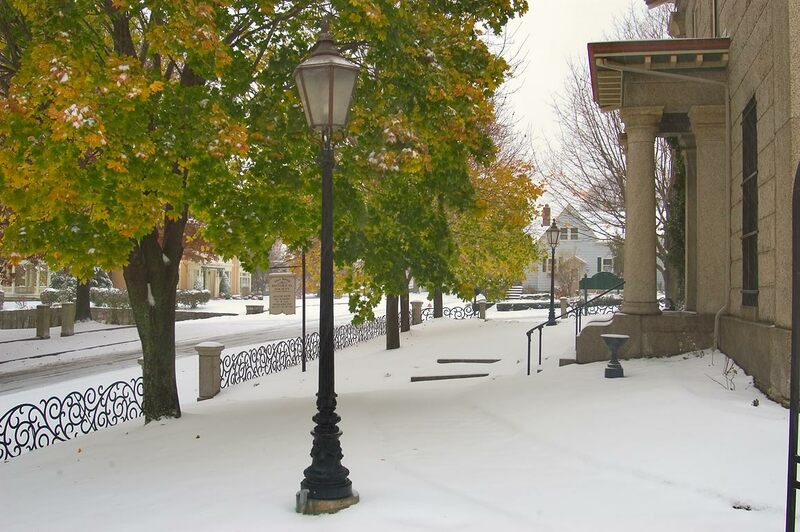 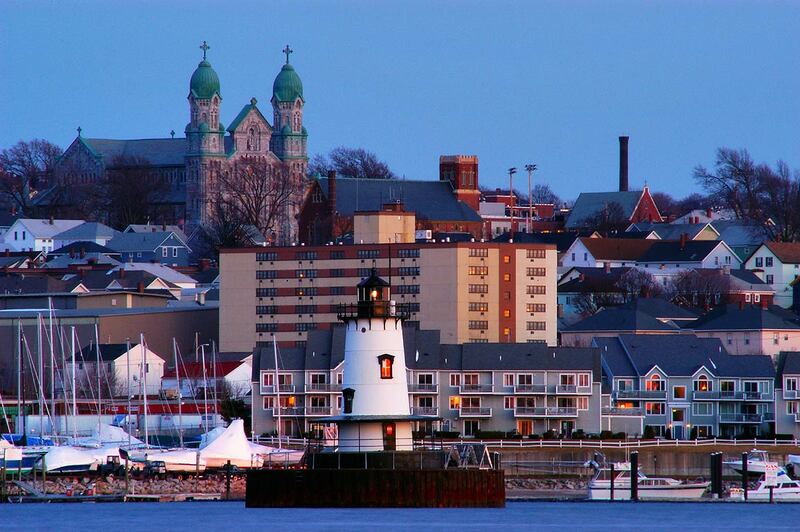 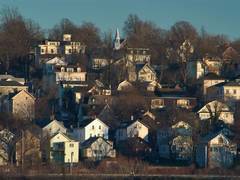 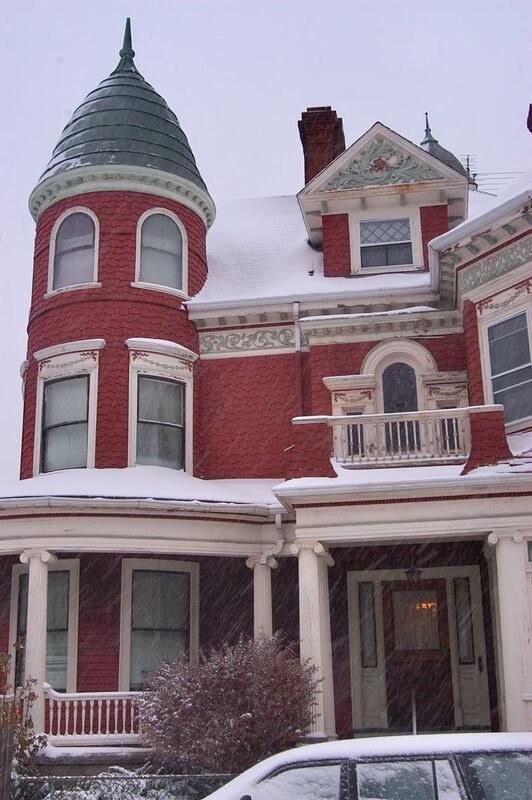 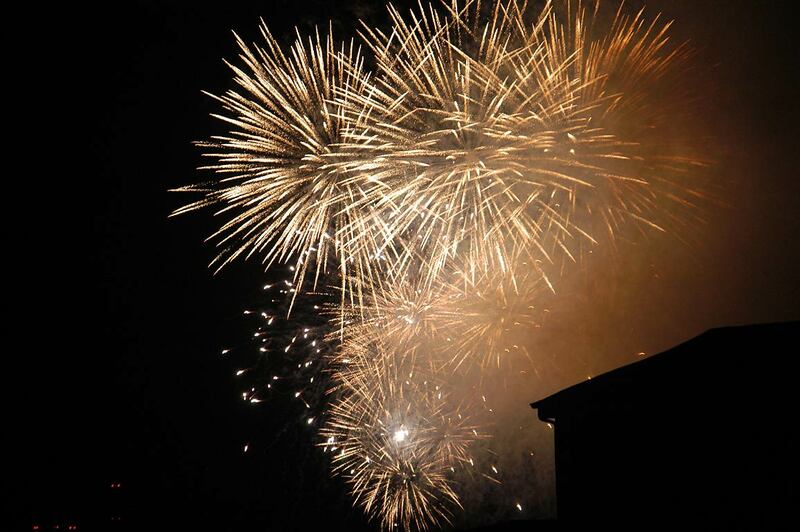 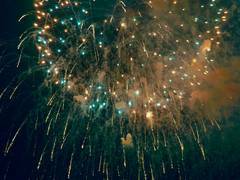 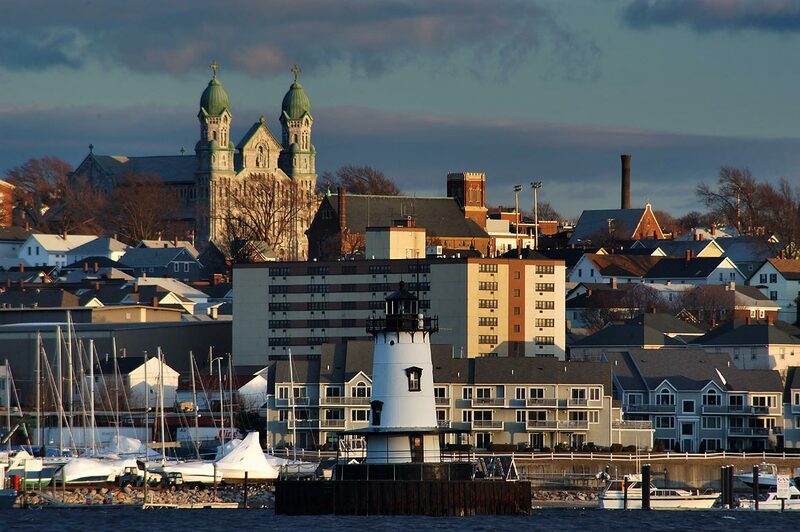 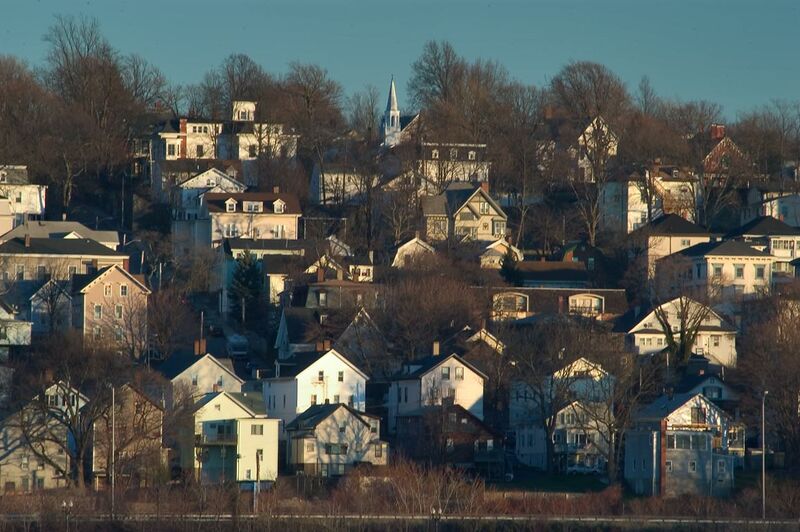 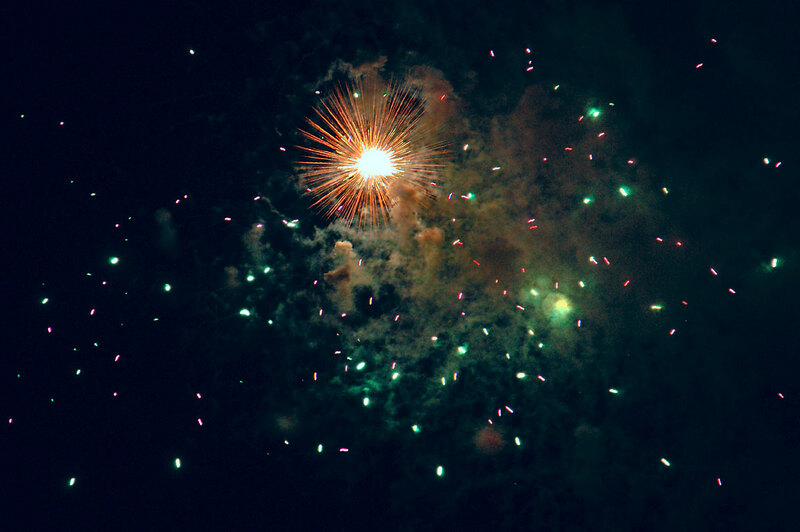 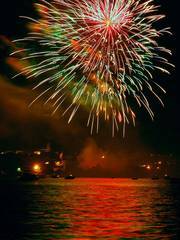 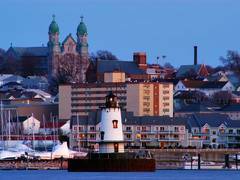 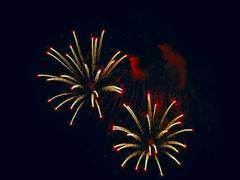 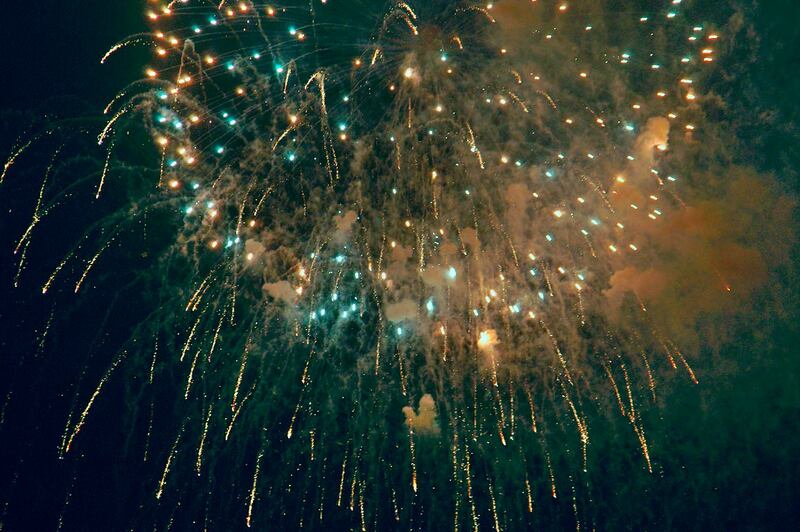 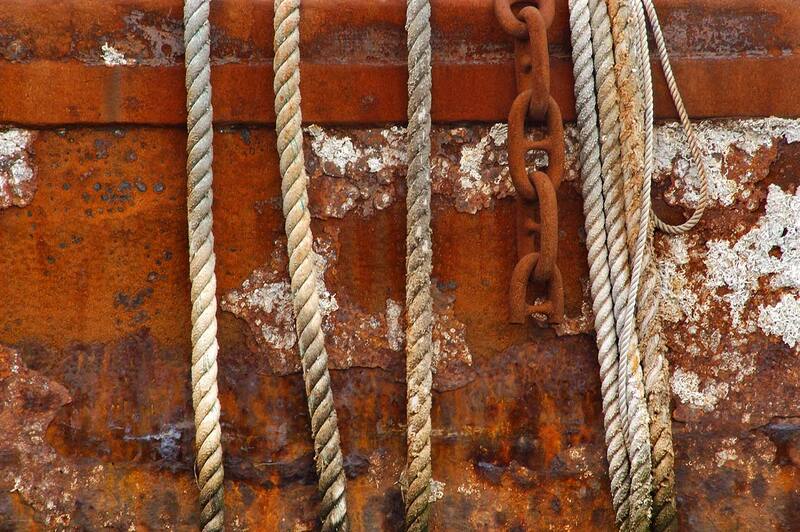 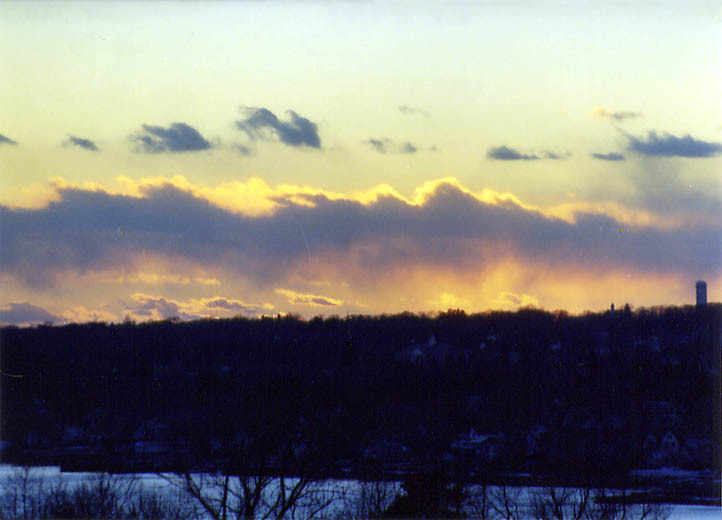 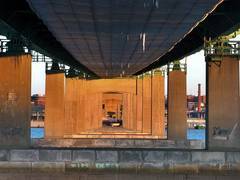 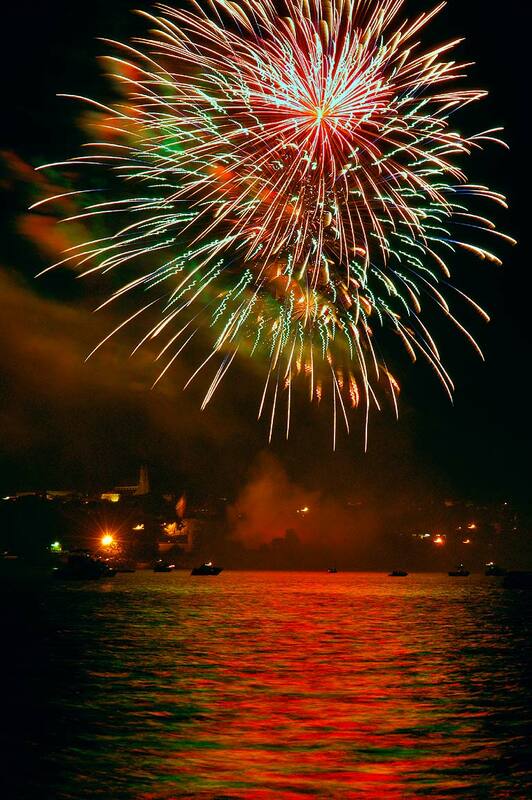 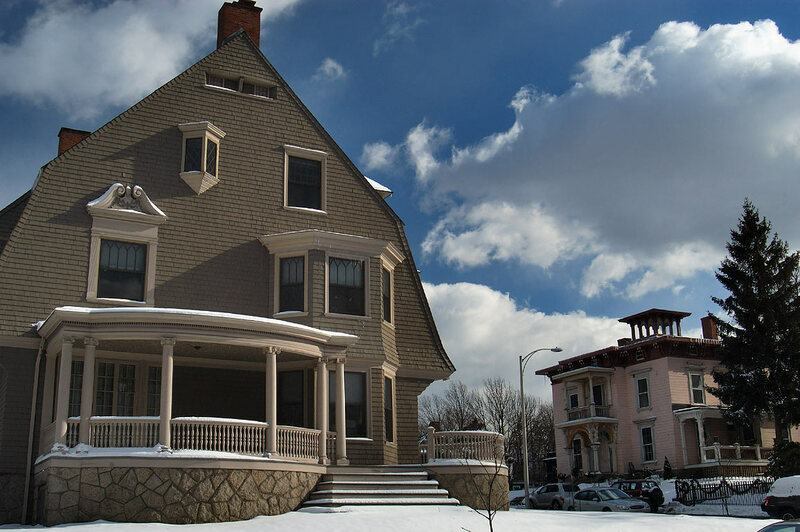 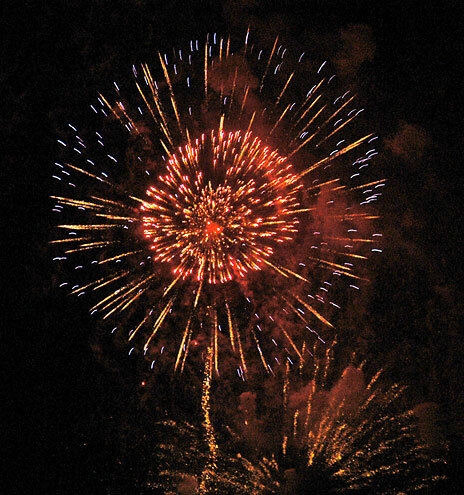 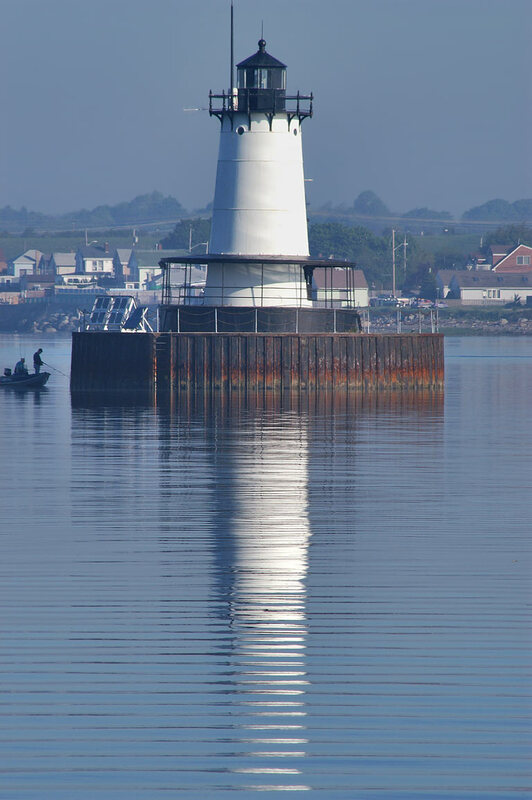 Fall River, Massachusetts, February 6, 2004.